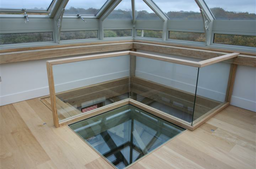 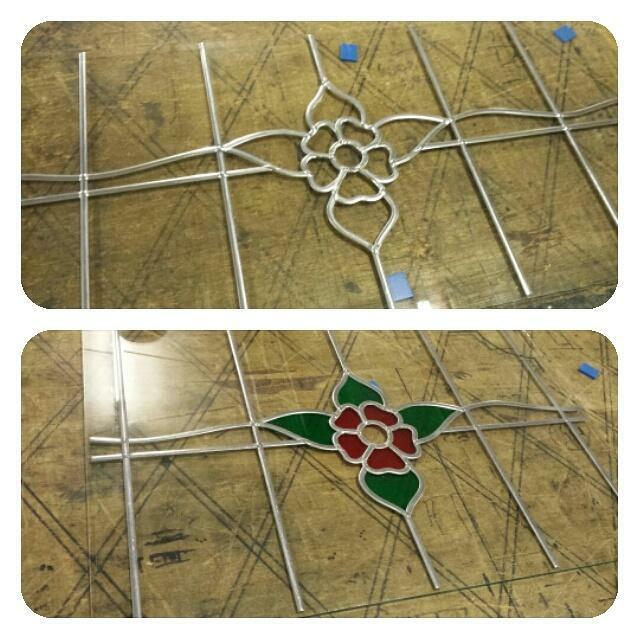 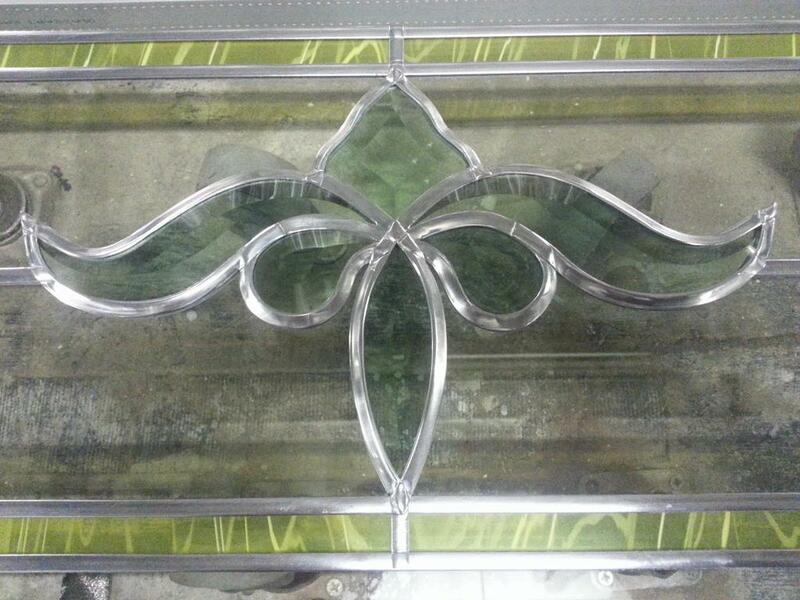 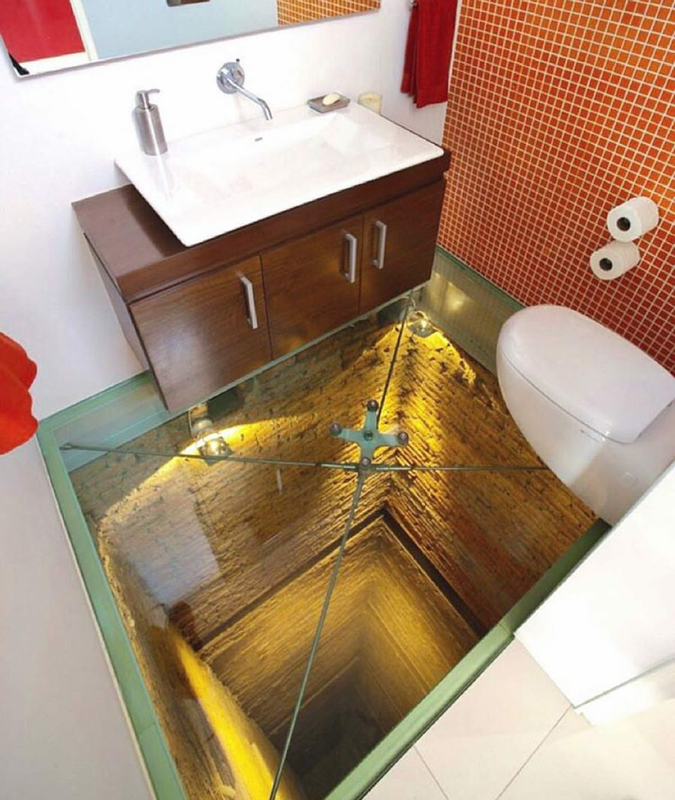 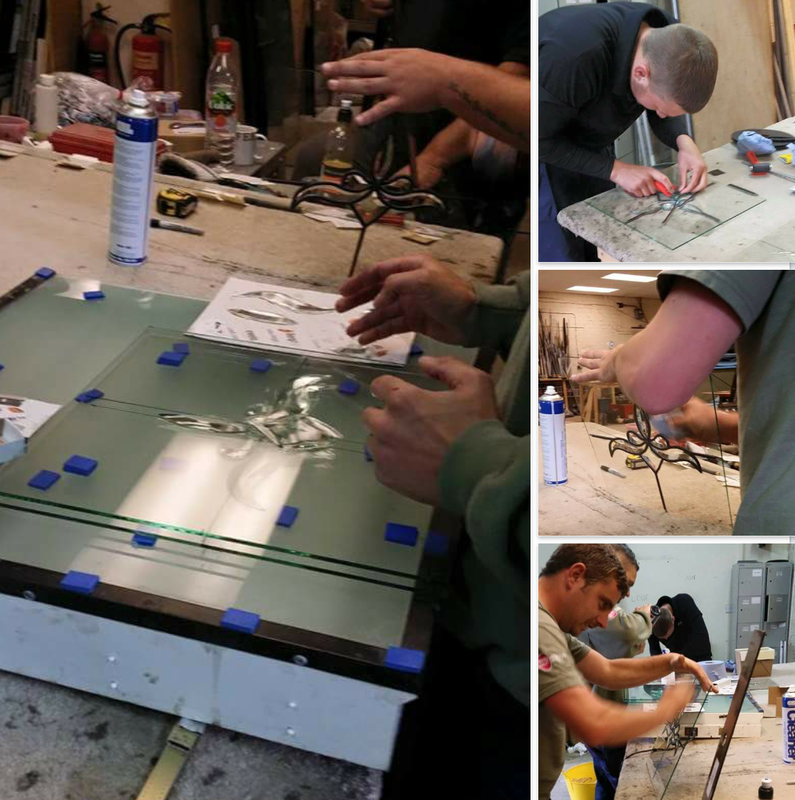 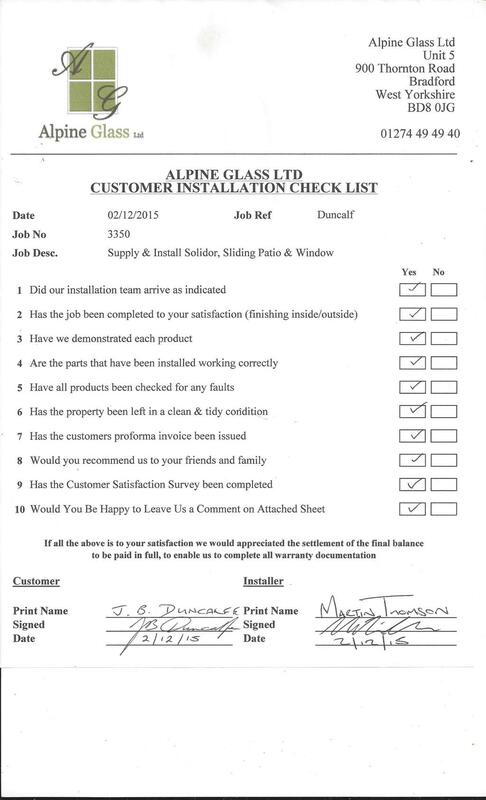 At Alpine Glass, we pride ourselves on providing our customers with the highest levels of knowledge and service. 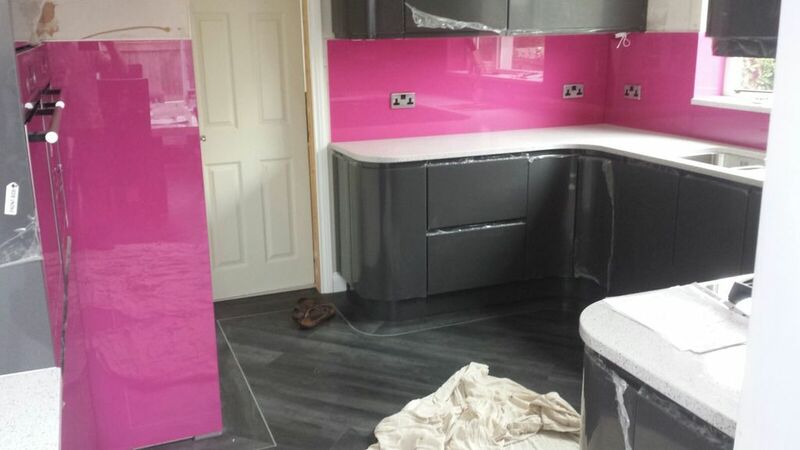 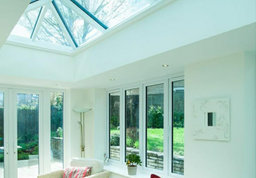 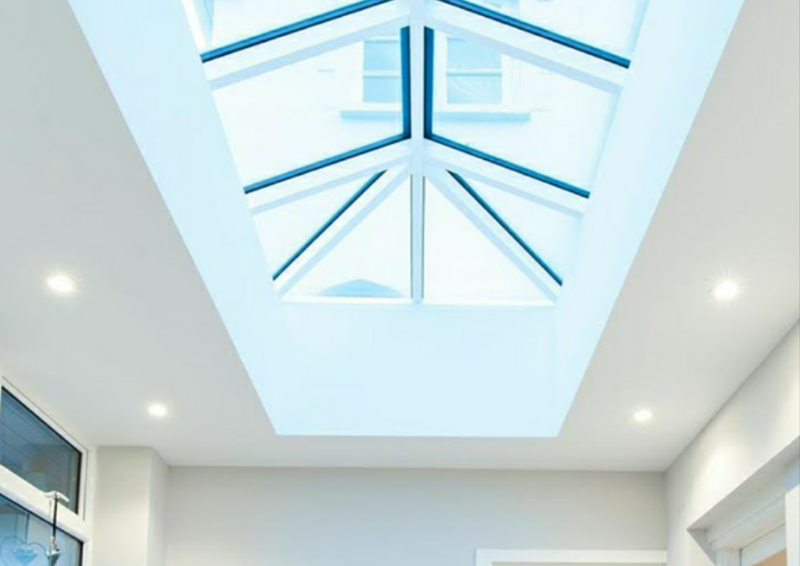 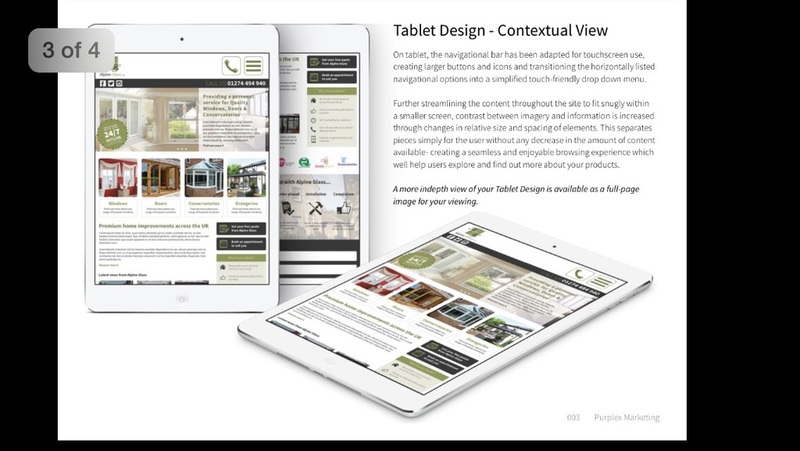 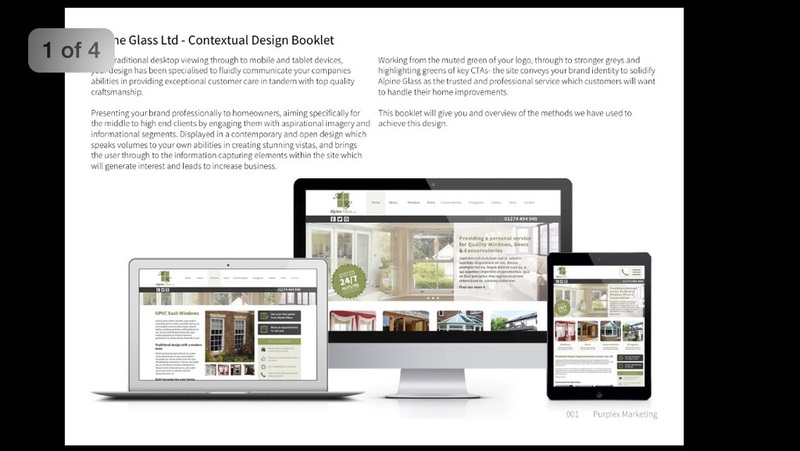 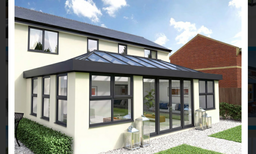 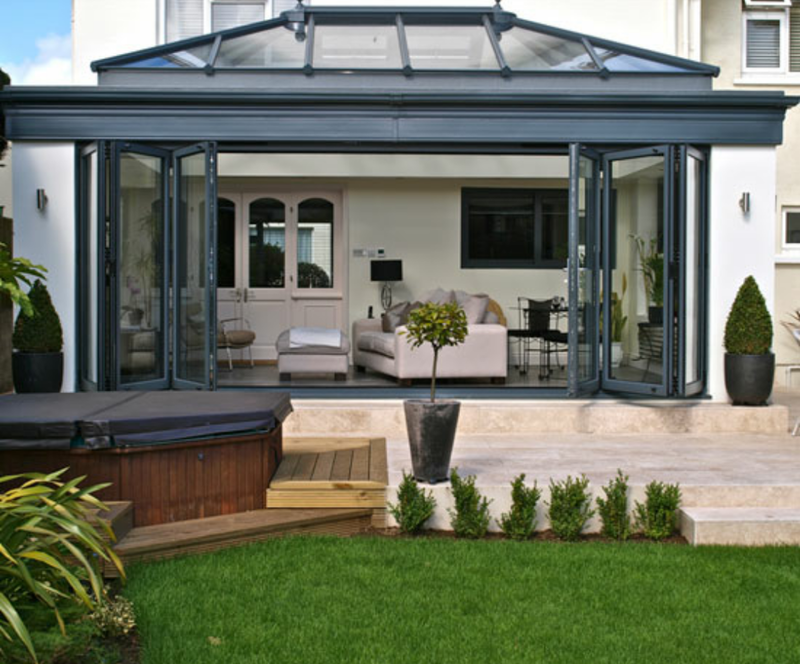 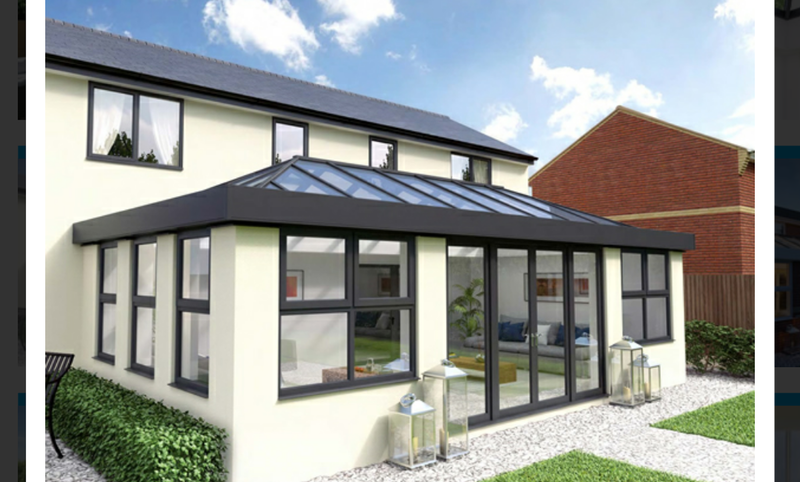 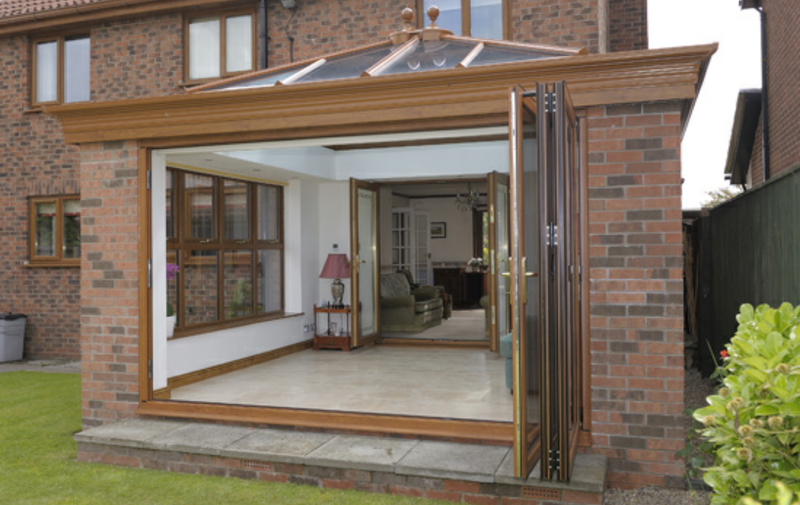 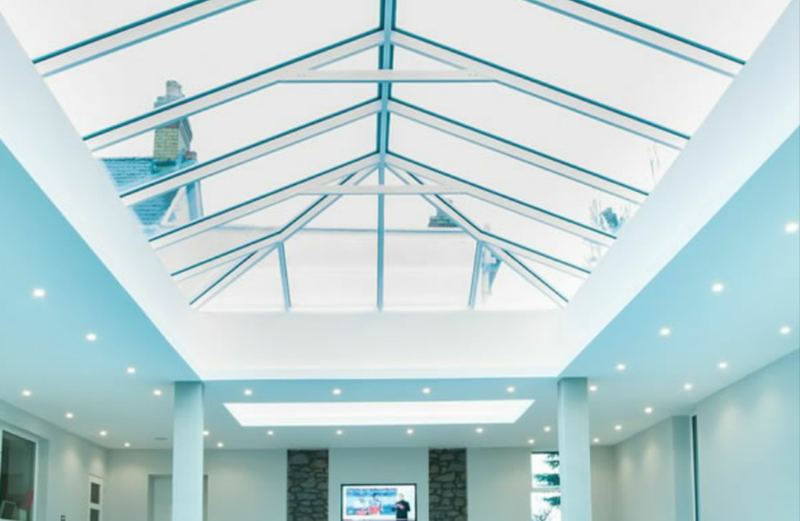 As a family run business we are able to provide unrivalled customer service, employing dedicated fitters, surveyors, manufacturers and administrators to guide you through every step of the home improvement process. 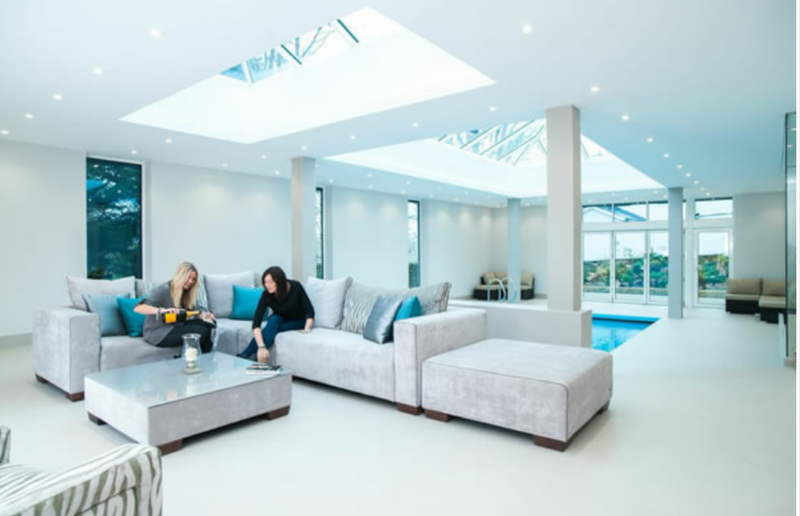 From the initial survey through to aftercare services, our team are committed to putting you first - we know that choosing home improvements can be a difficult decision, so we're here to make the process as simple and straightforward as possible. 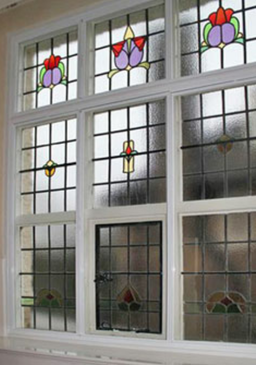 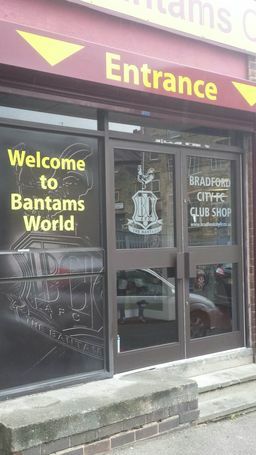 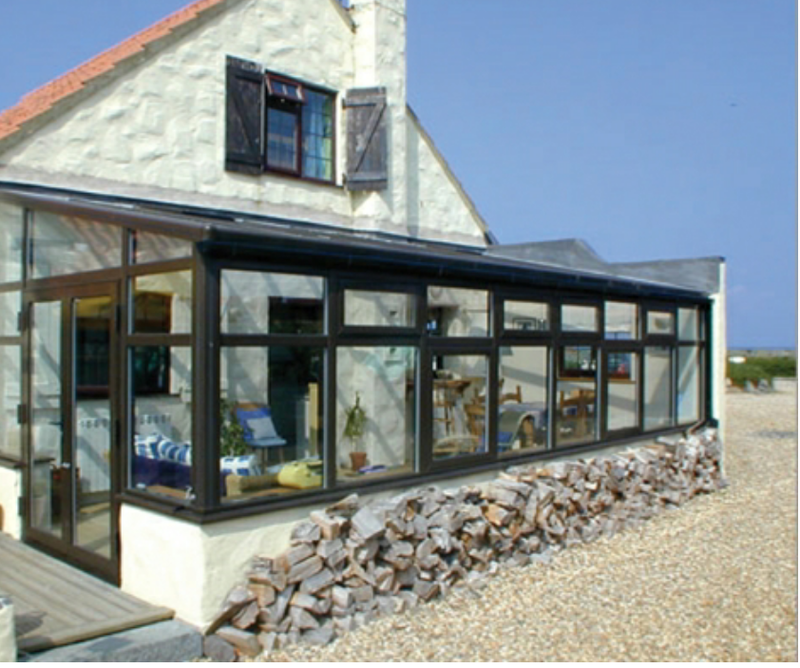 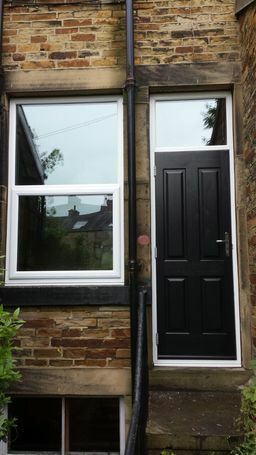 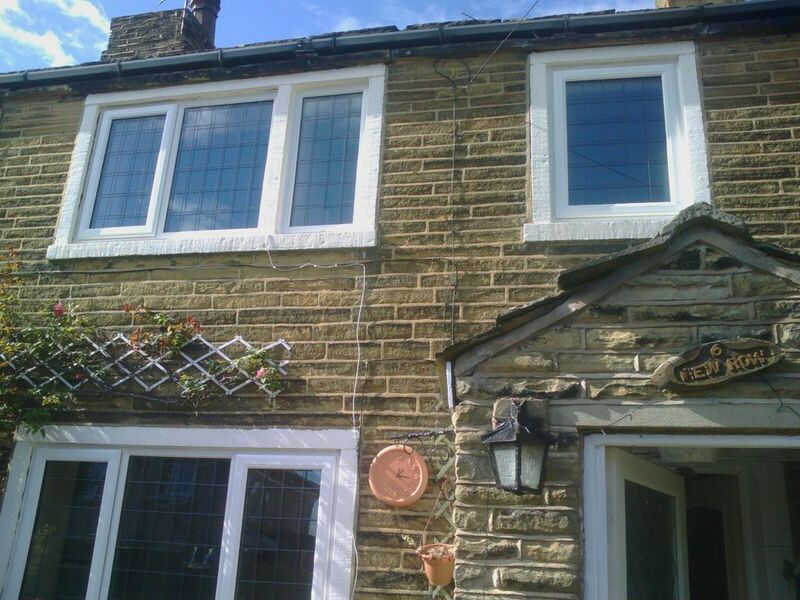 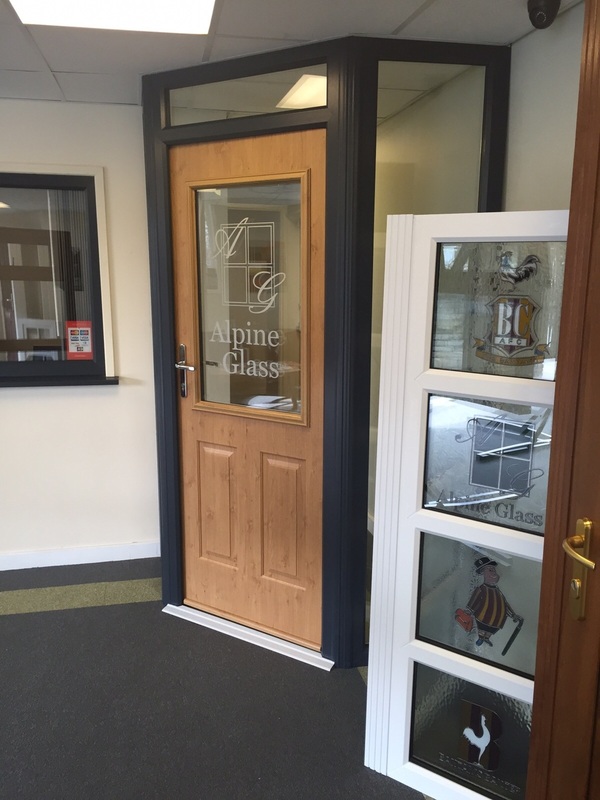 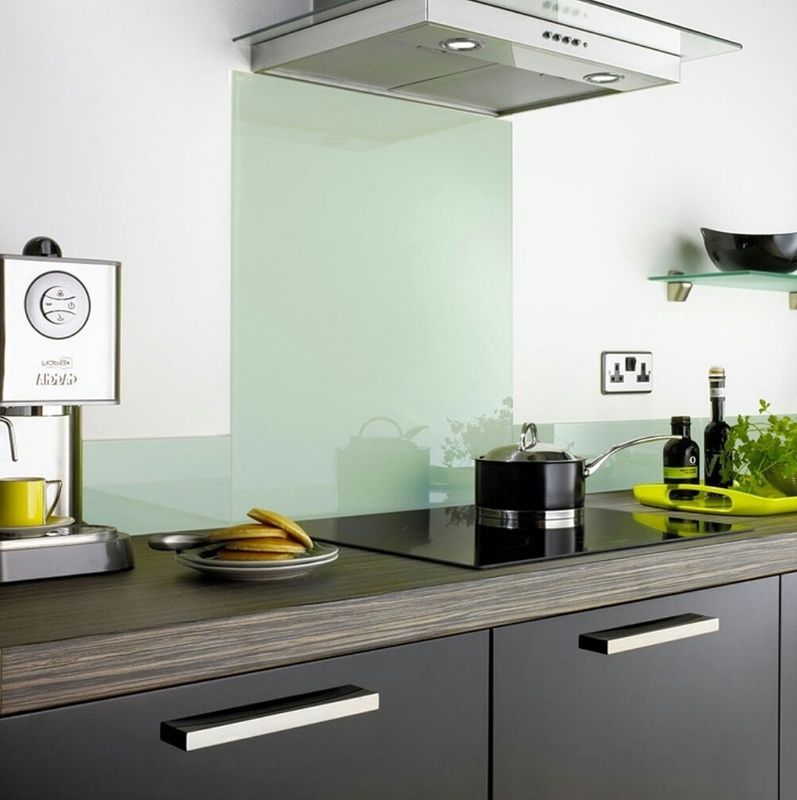 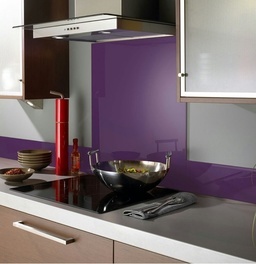 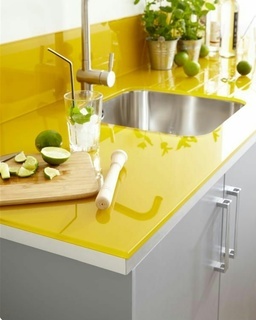 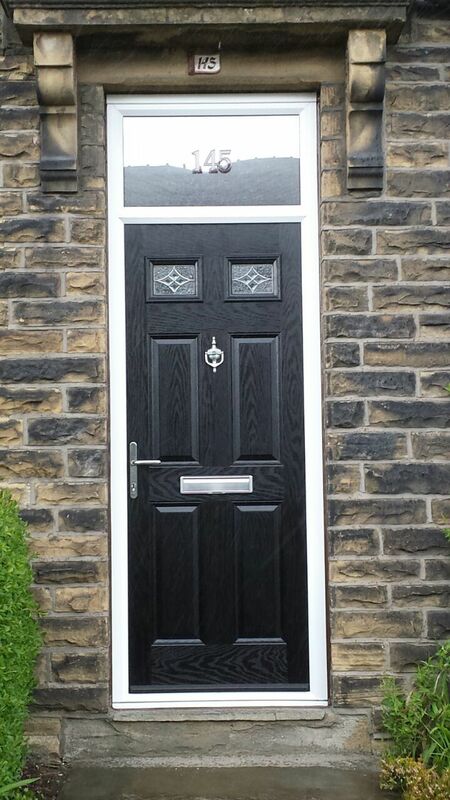 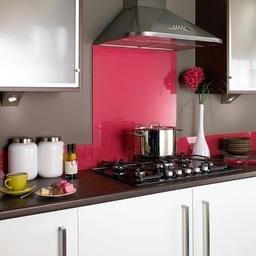 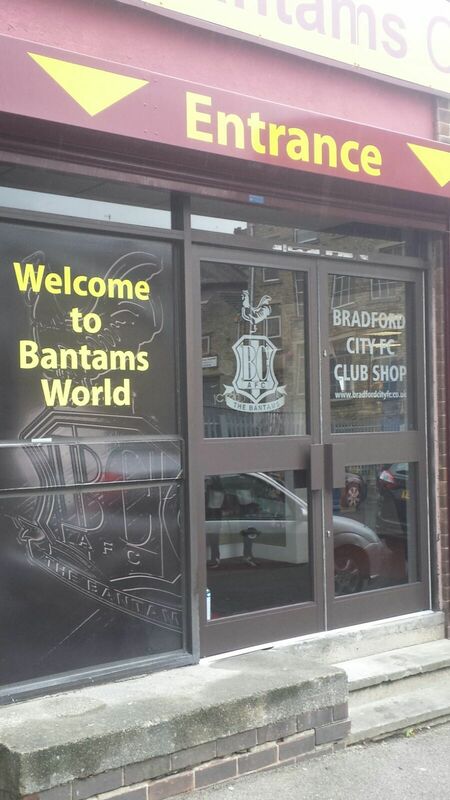 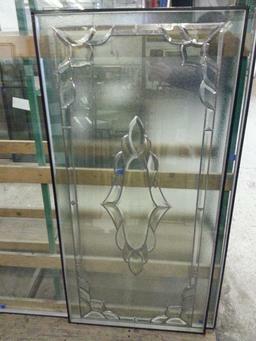 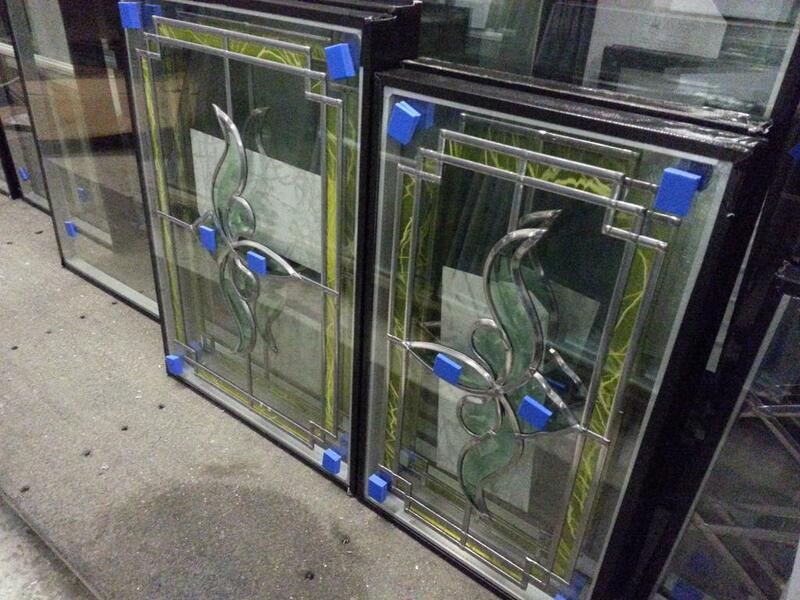 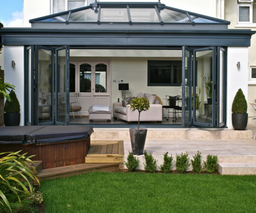 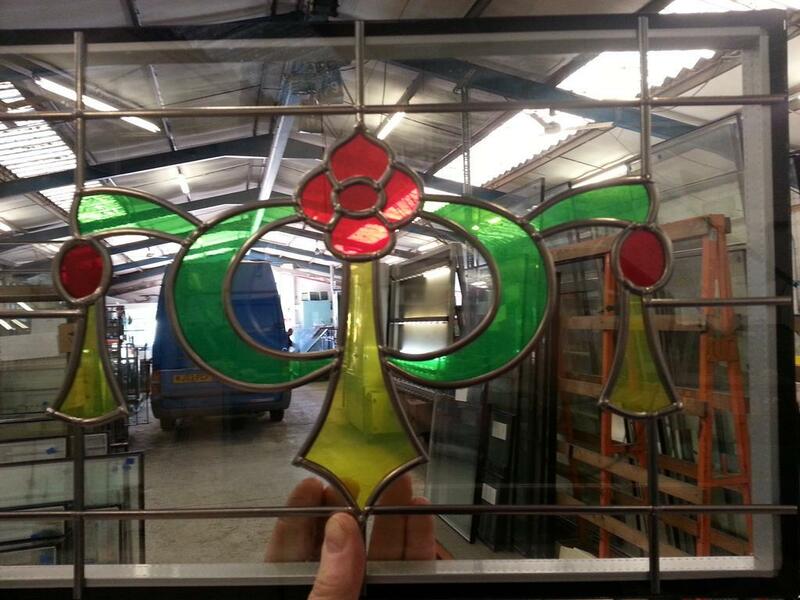 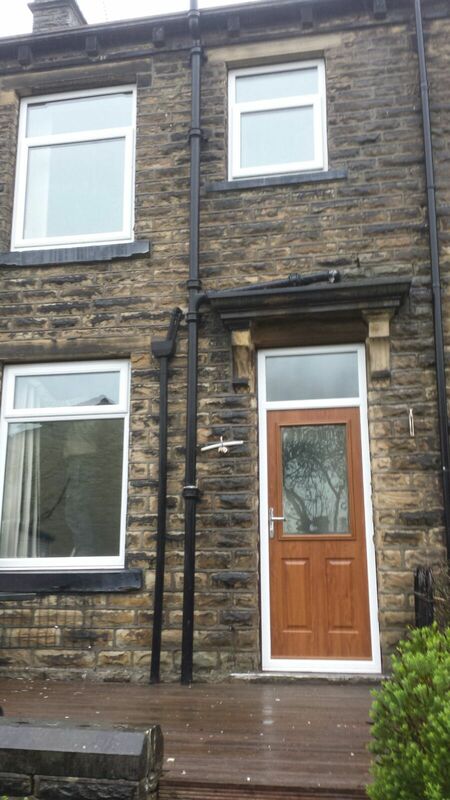 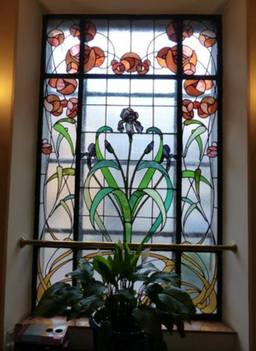 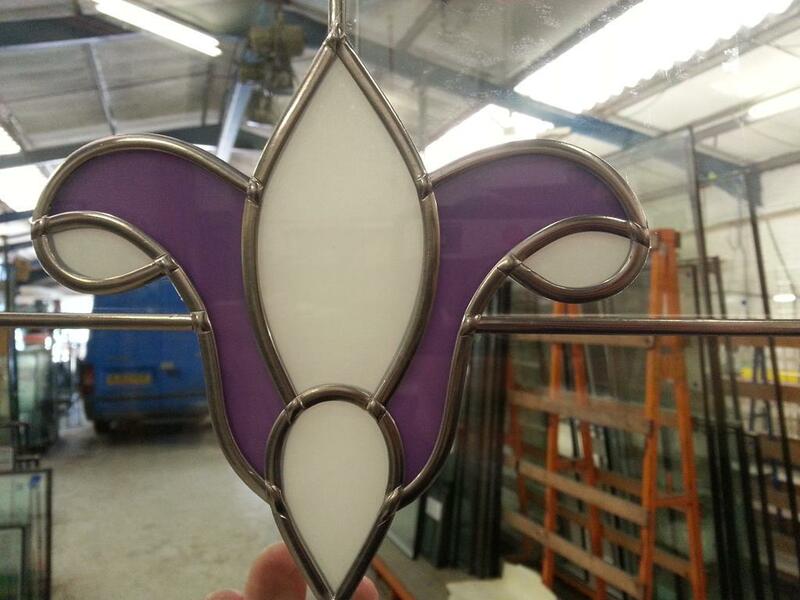 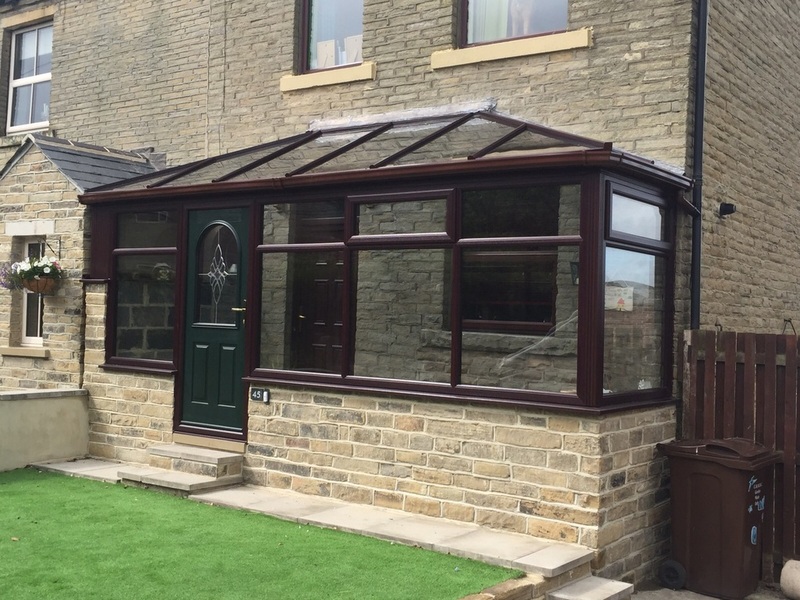 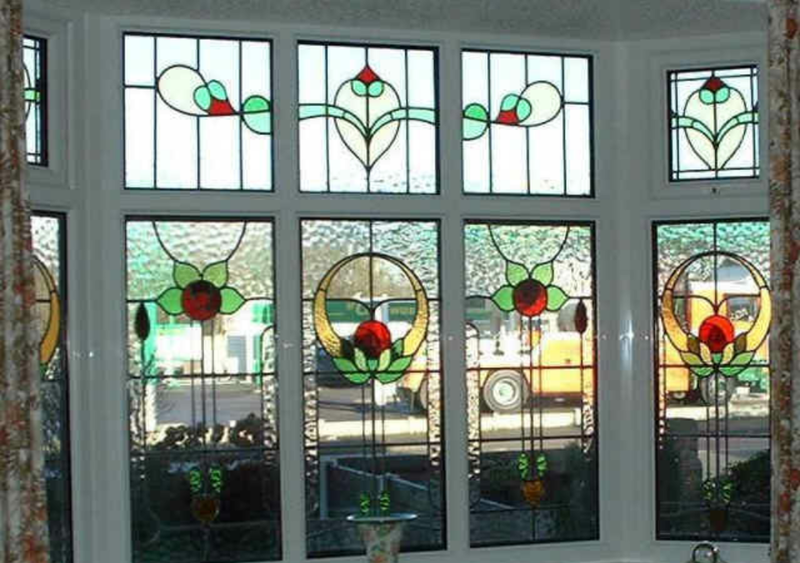 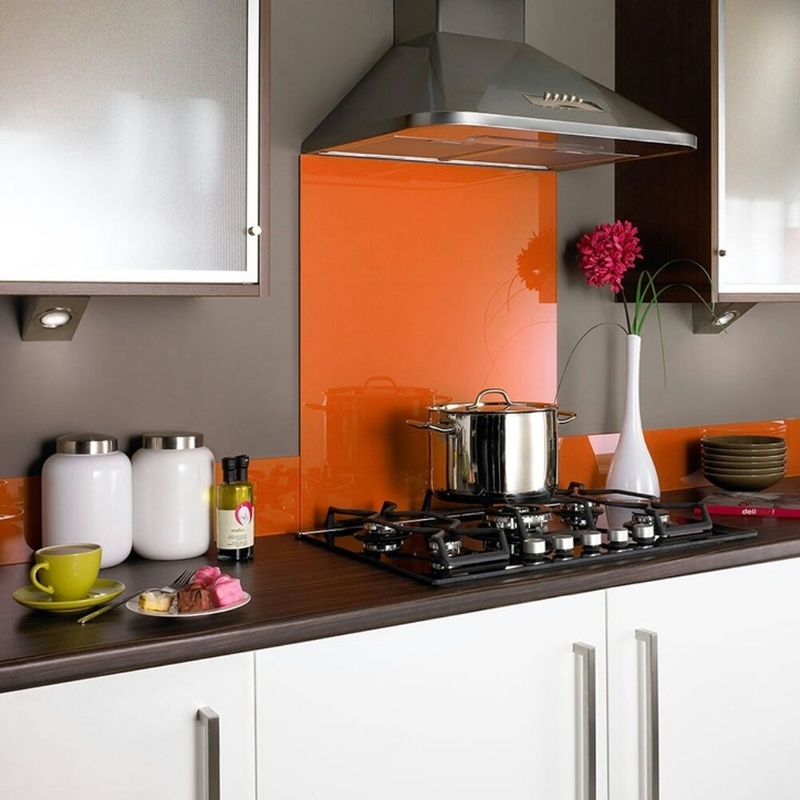 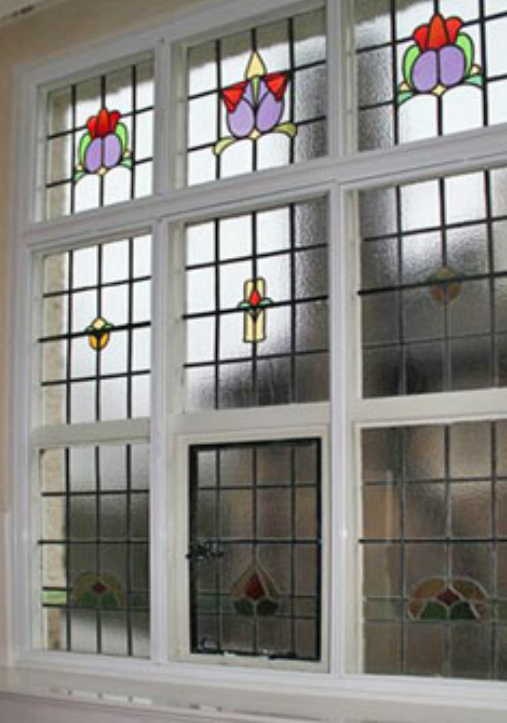 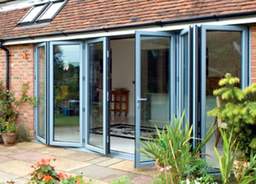 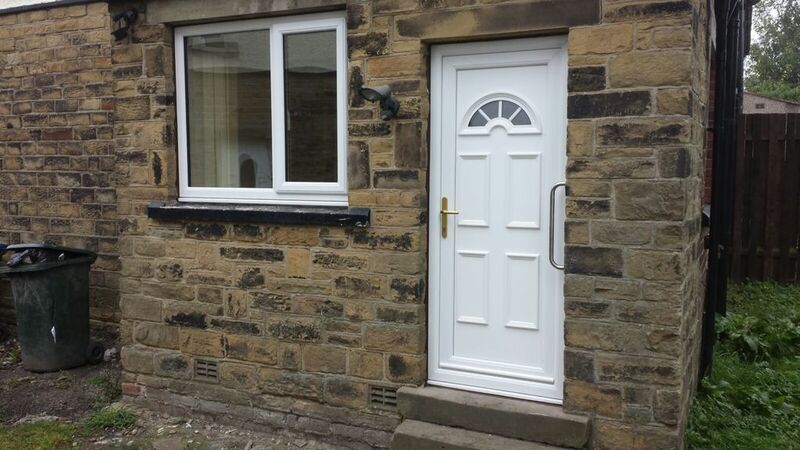 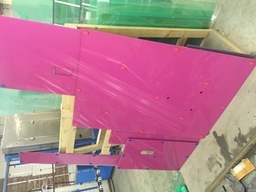 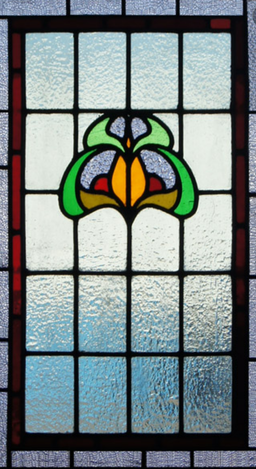 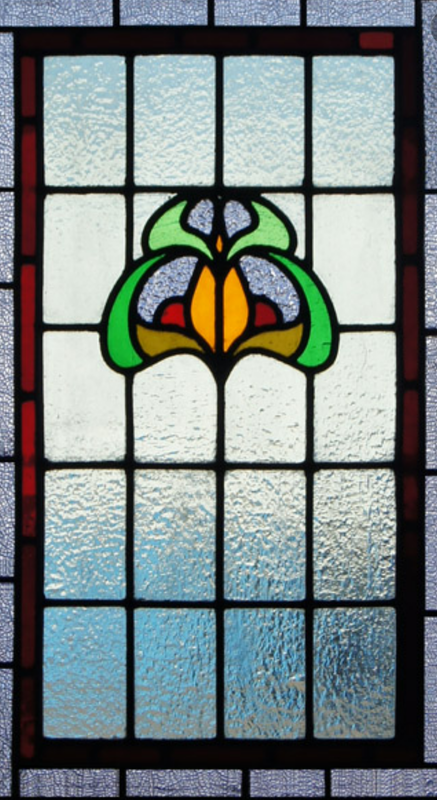 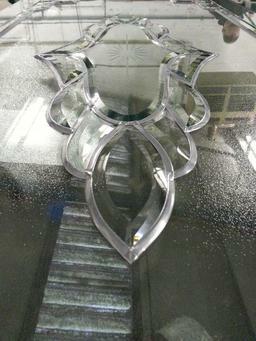 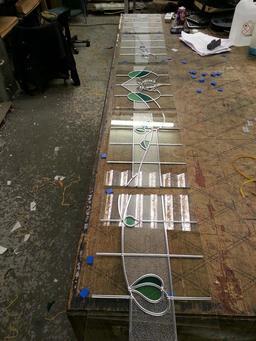 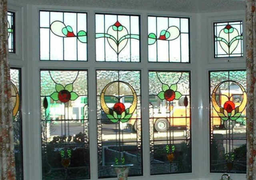 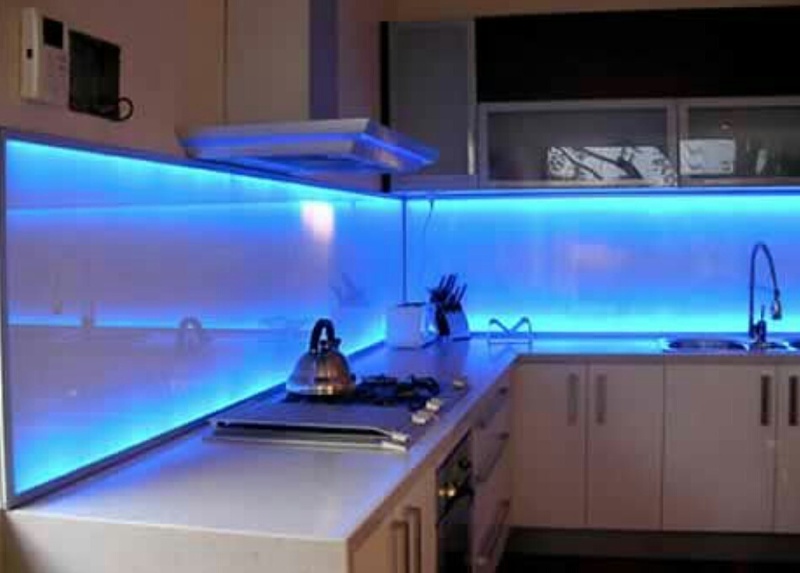 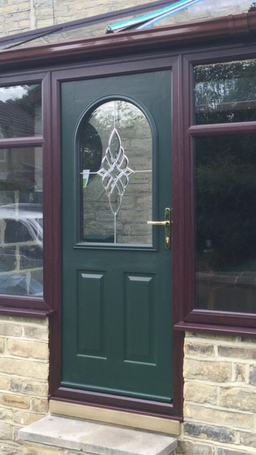 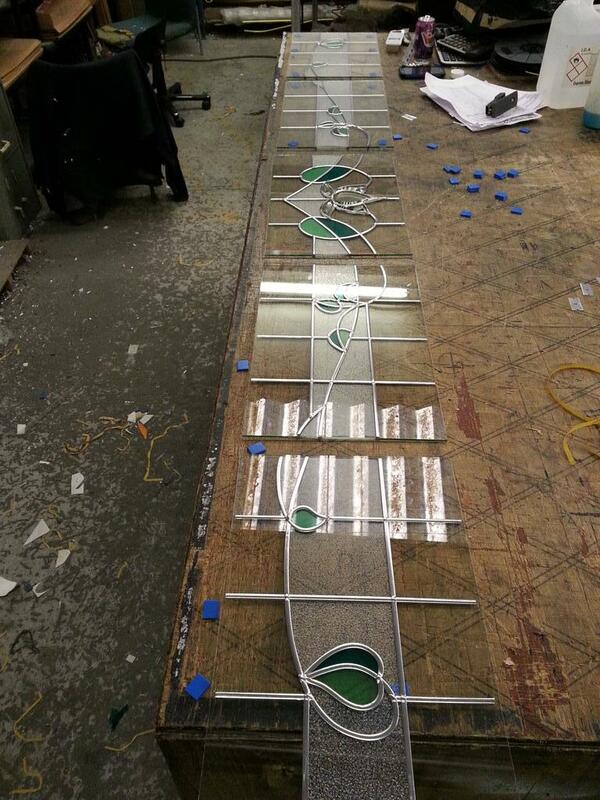 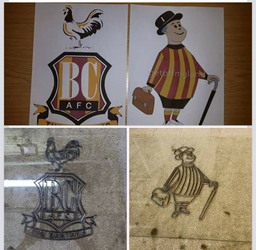 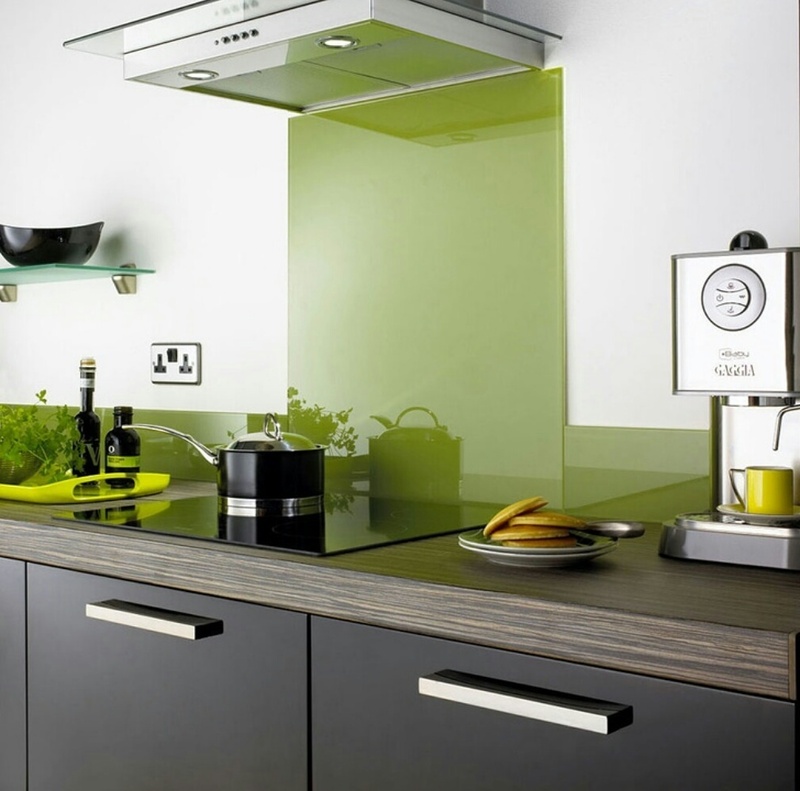 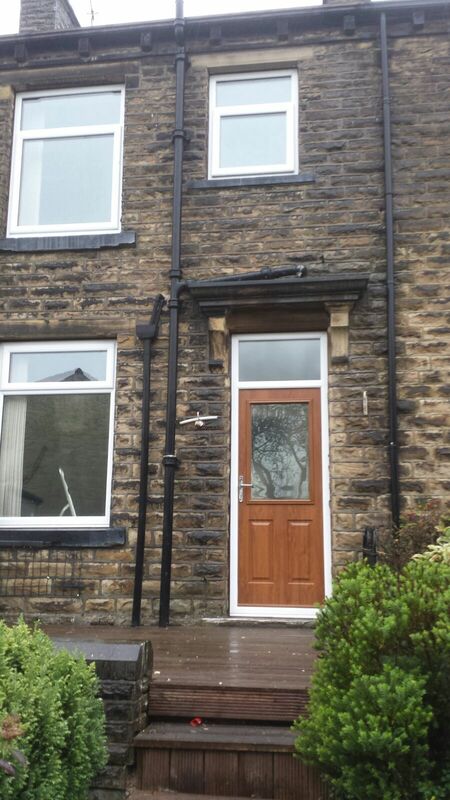 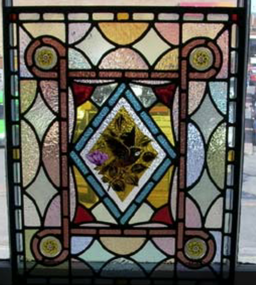 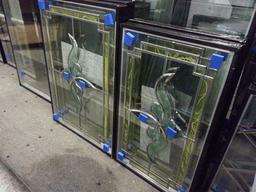 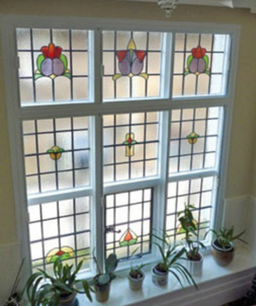 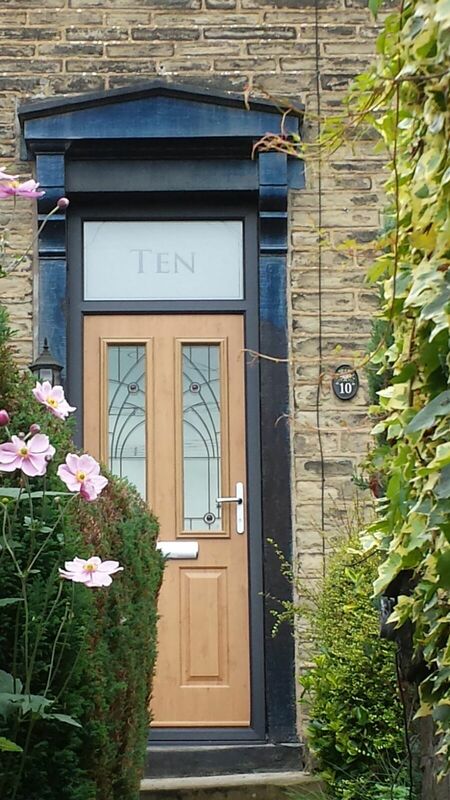 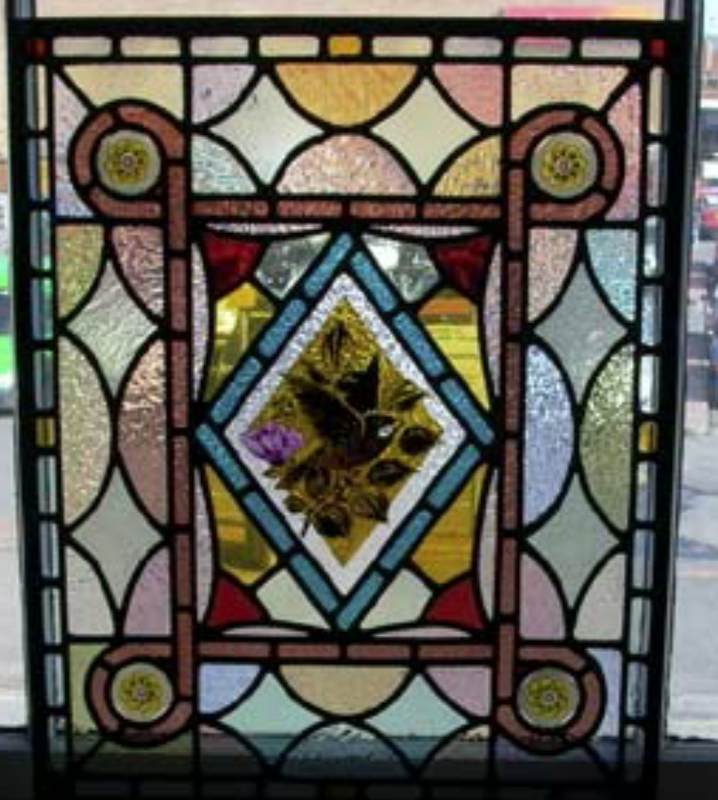 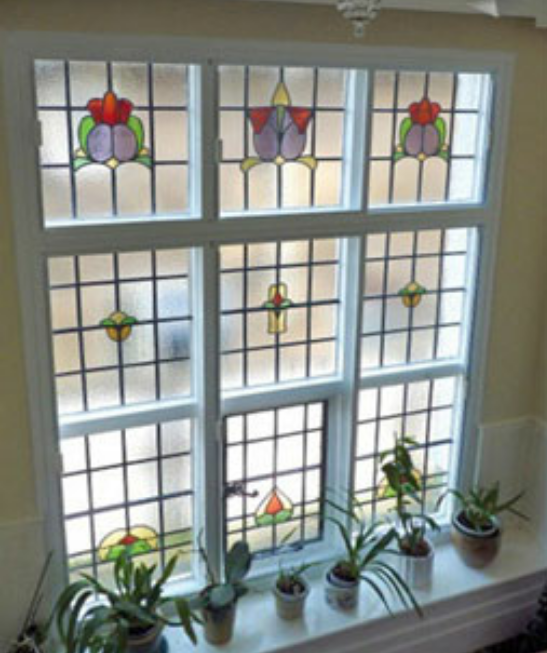 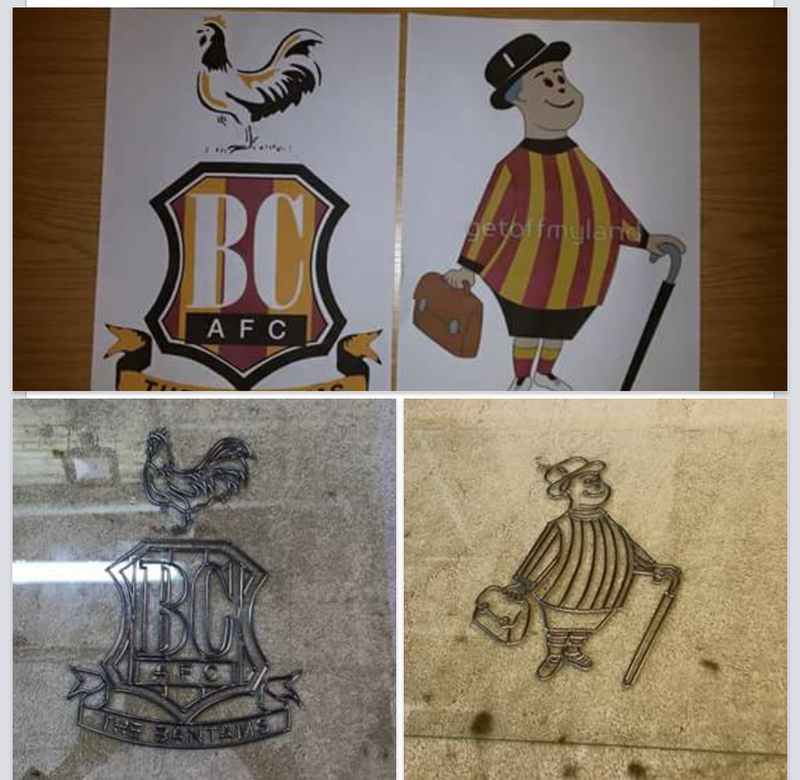 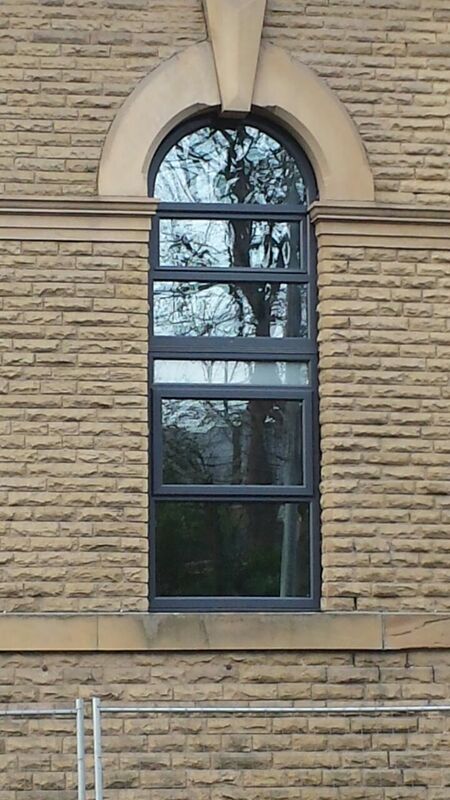 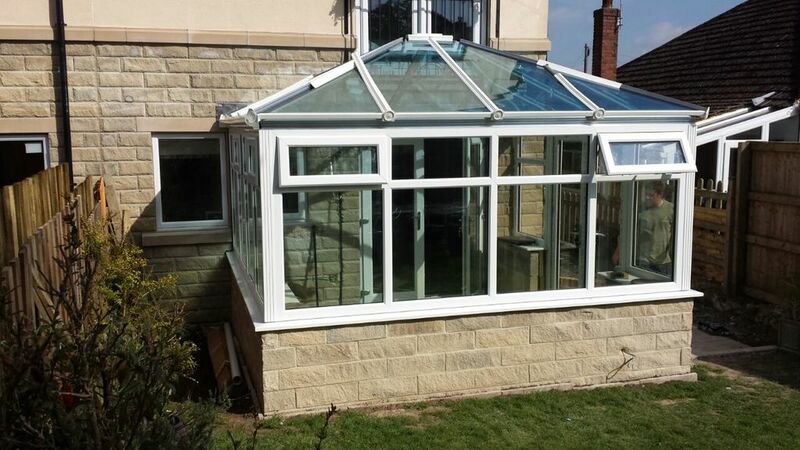 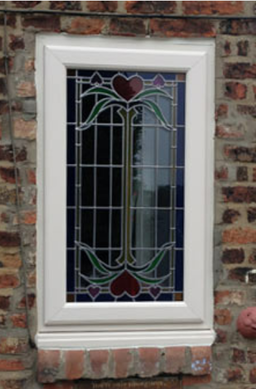 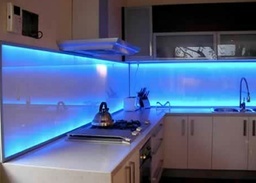 Alpine Glass are based in West Yorkshire, with a Bradford showroom so you can view our products at any time you like. 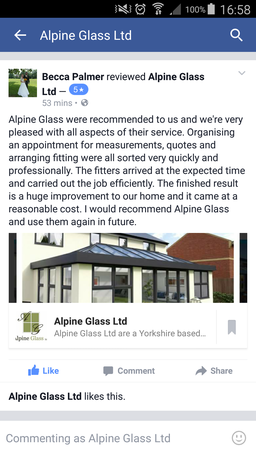 We are, however, also able to provide our services across the UK - if you have any questions don't hesitate to contact us! 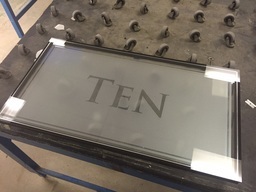 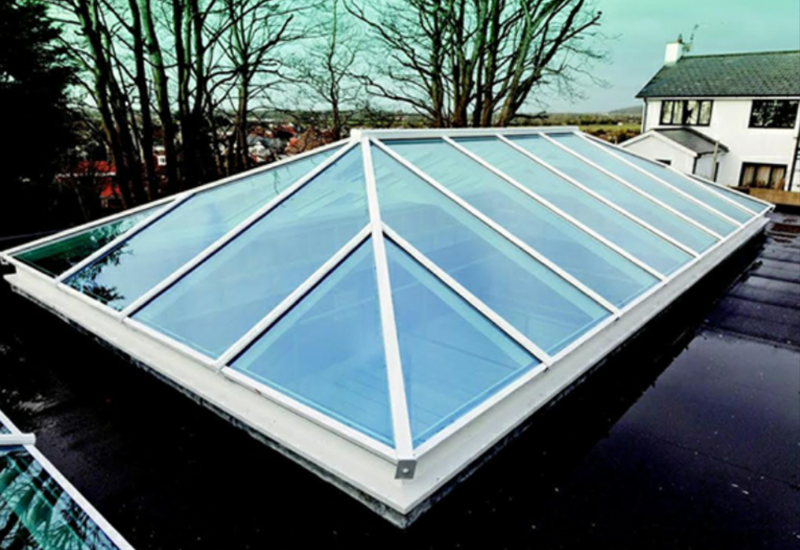 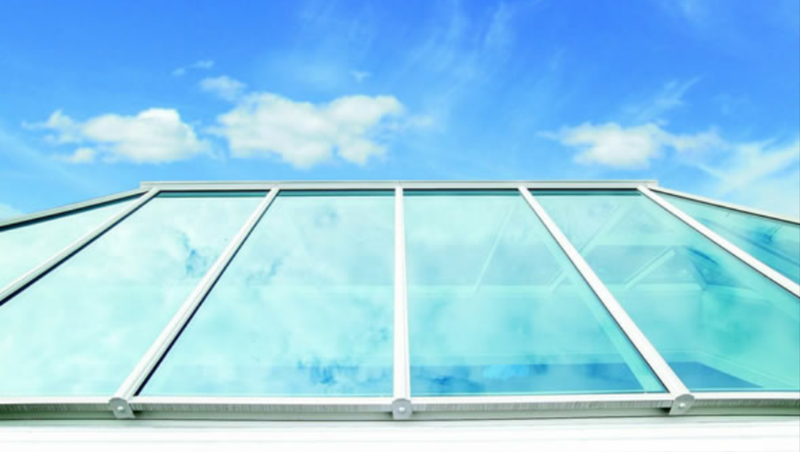 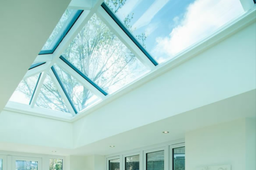 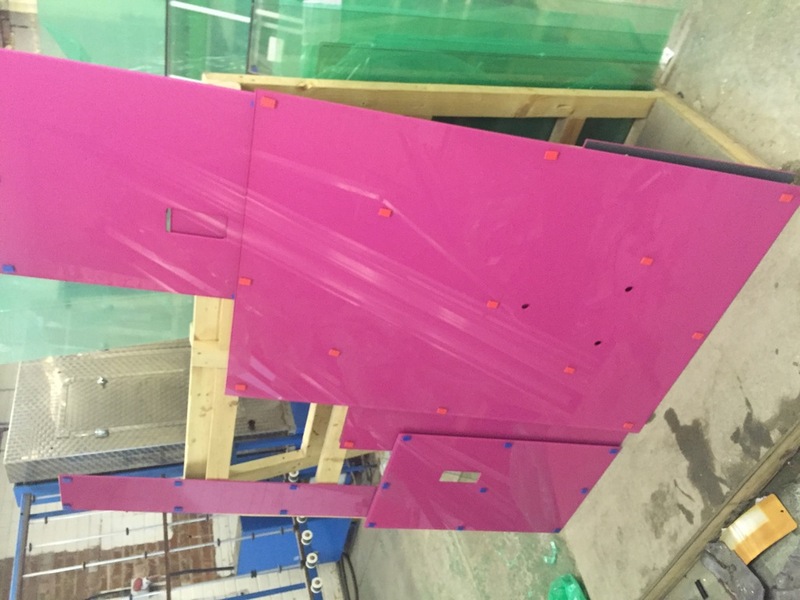 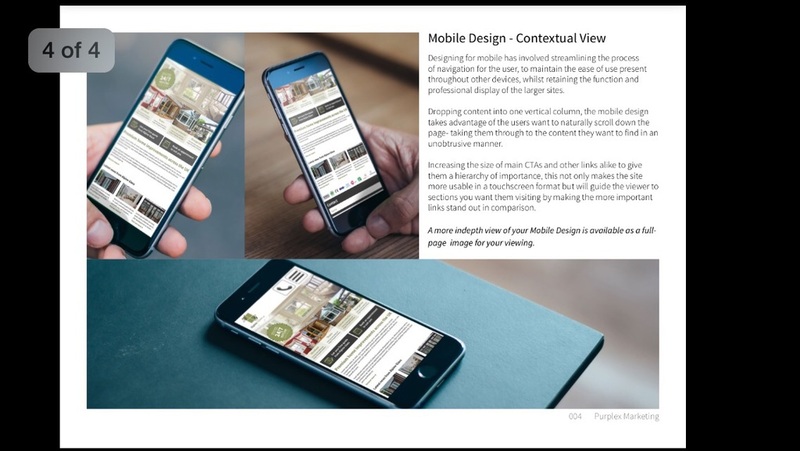 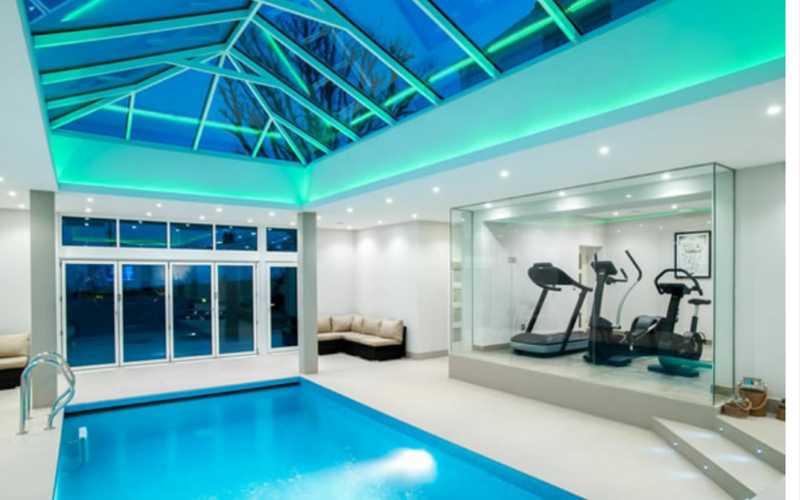 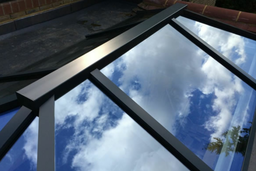 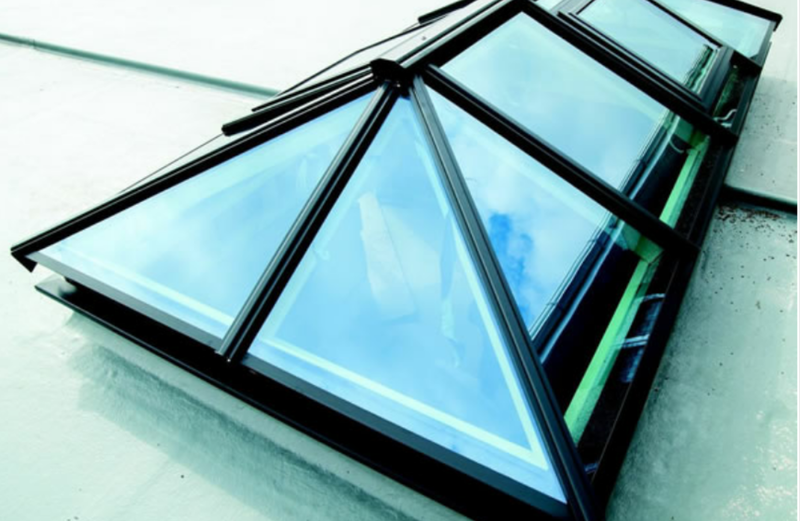 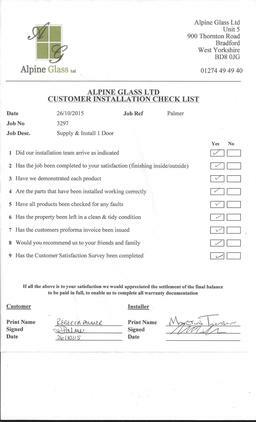 Alpine Glass have almost ten years of industry experience, possessing a comprehensive knowledge of products and industry developments. 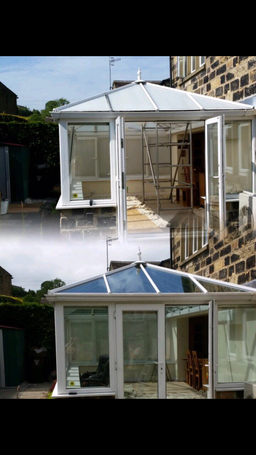 Our roots date back 2006, manufacturing conservatory roofs under the Alpine Conservatory Roofs brand. 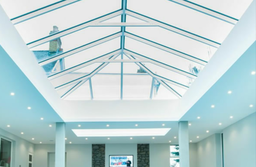 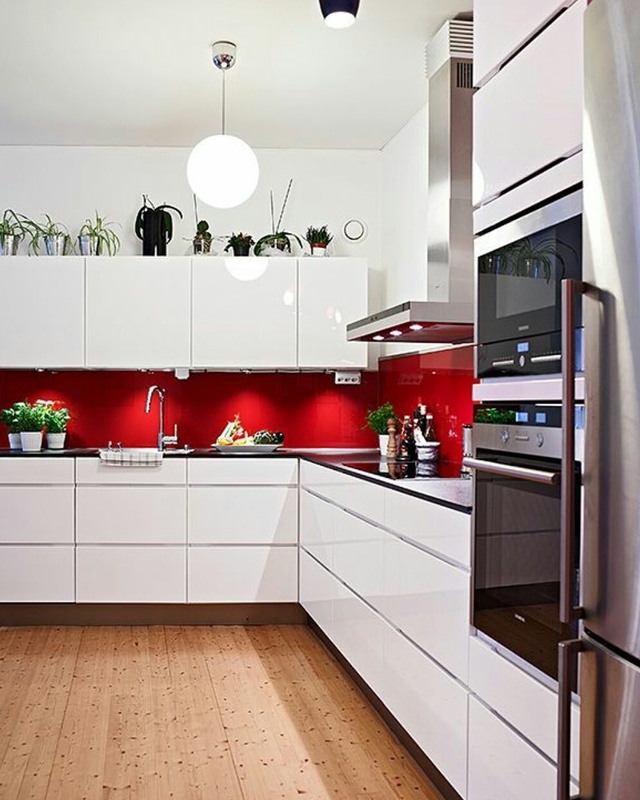 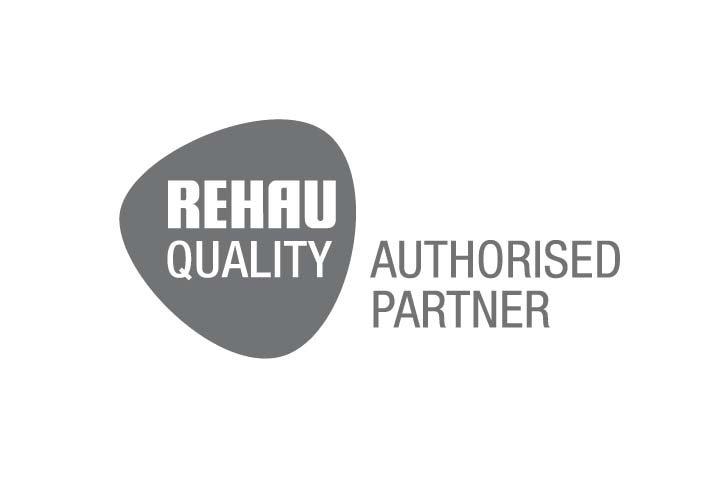 Since then we have developed our expertise in multiple aspects of the industry, supplying you with a comprehensive and high quality range of home improvement products. 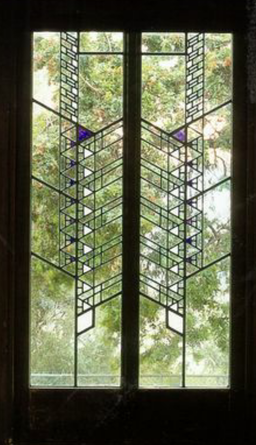 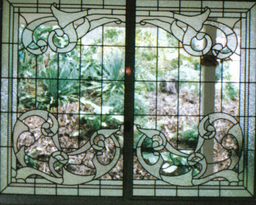 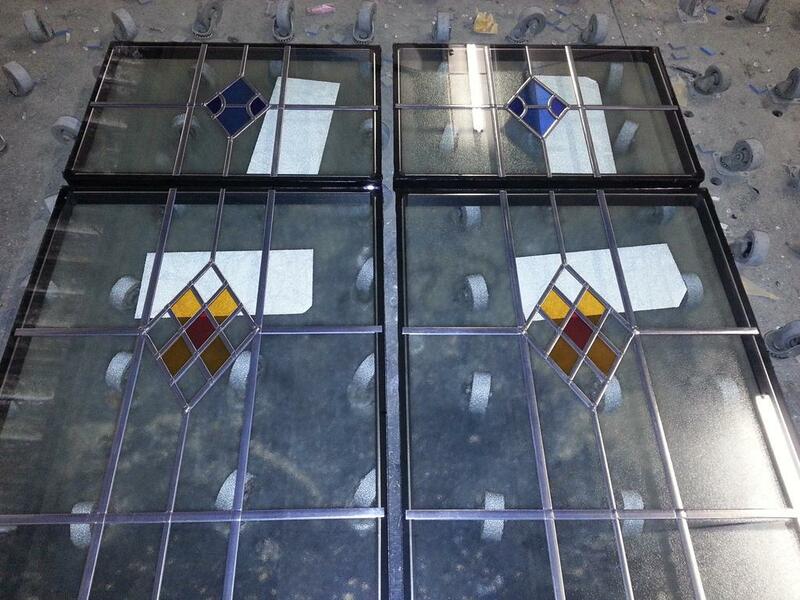 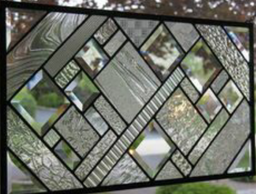 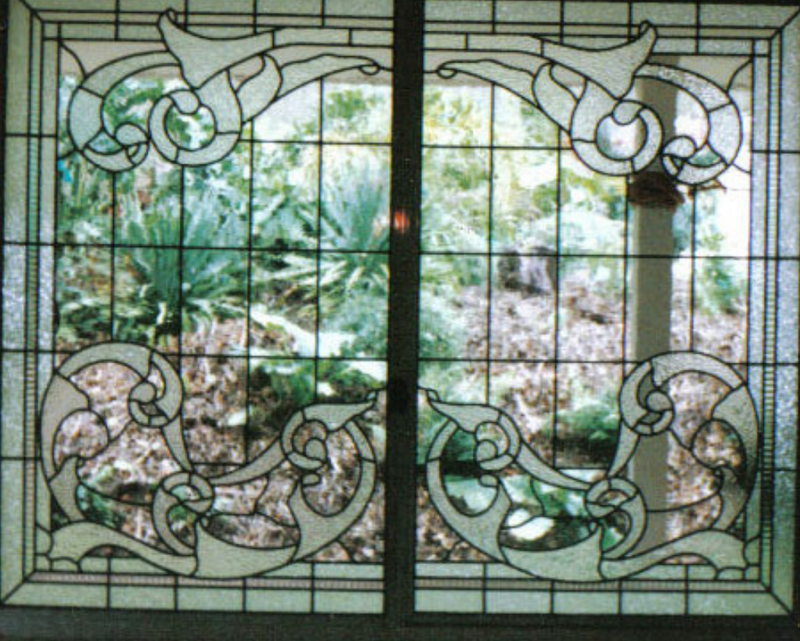 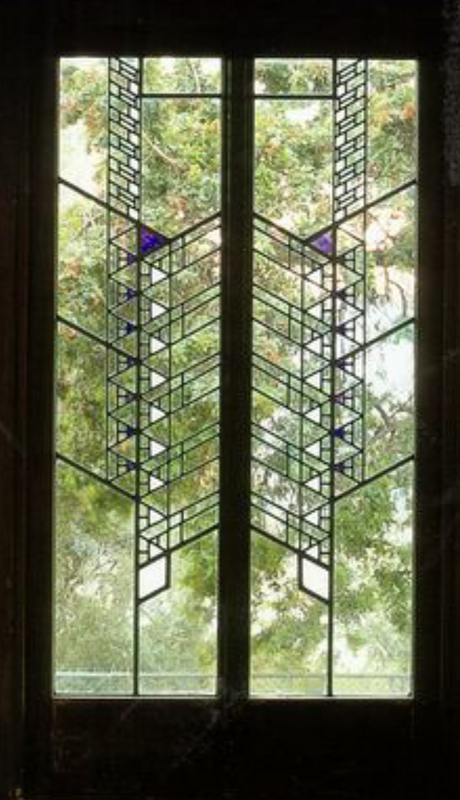 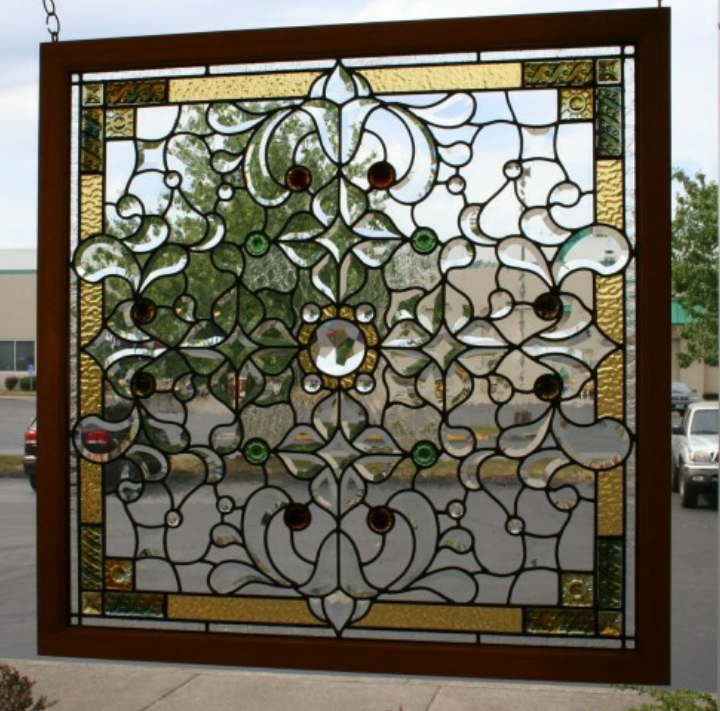 What makes Alpine Glass different? 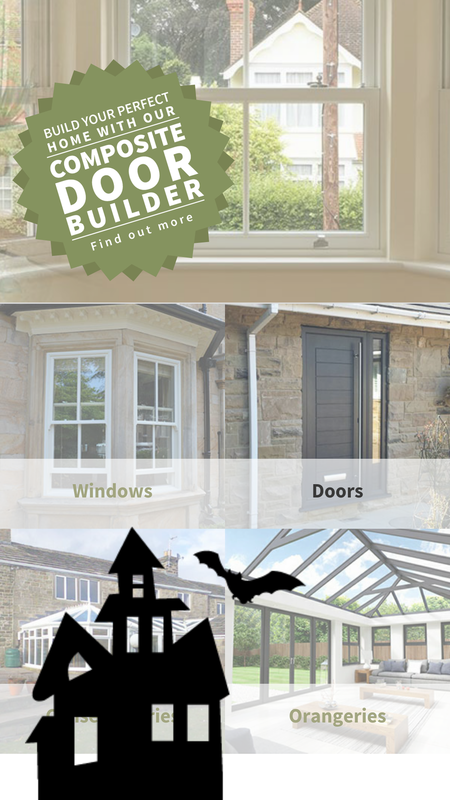 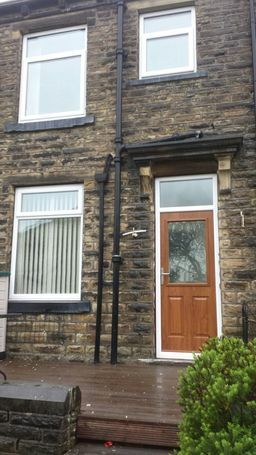 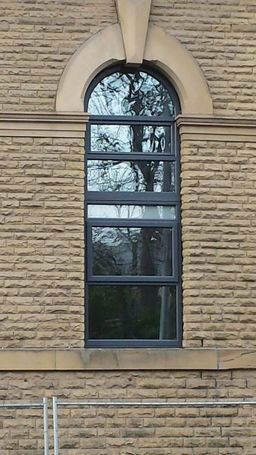 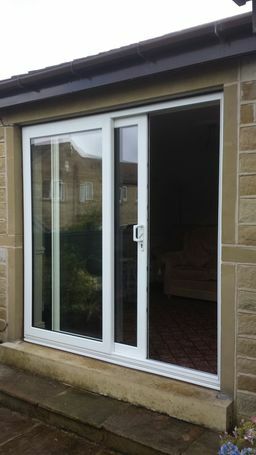 Offering everything from PVC casement windows, PVC sash windows, PVC bay windows, and PVC tilt and turn windows to timber sliding sash windows, as well as entrance doors, patio doors, french doors, bifold doors and conservatories and orangeries, Alpine Glass's product range is truly comprehensive and suited to the demand of a variety of properties and projects. 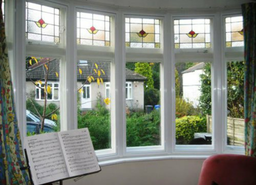 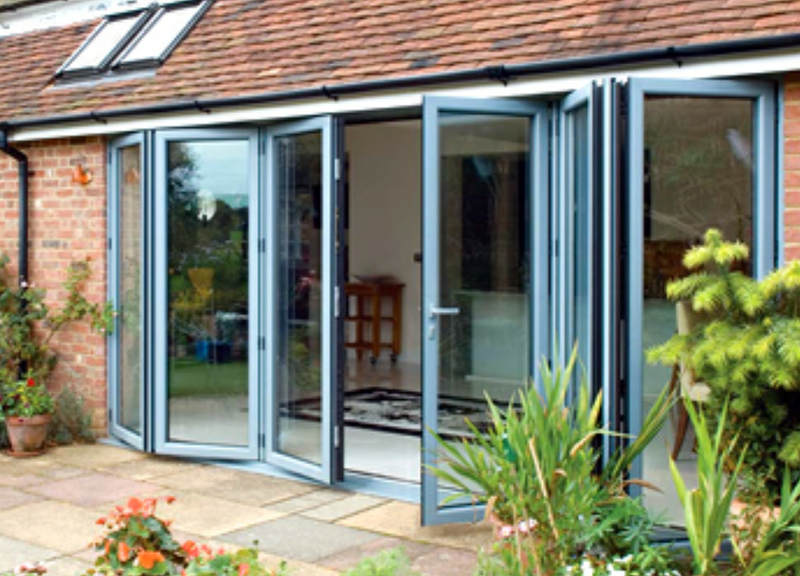 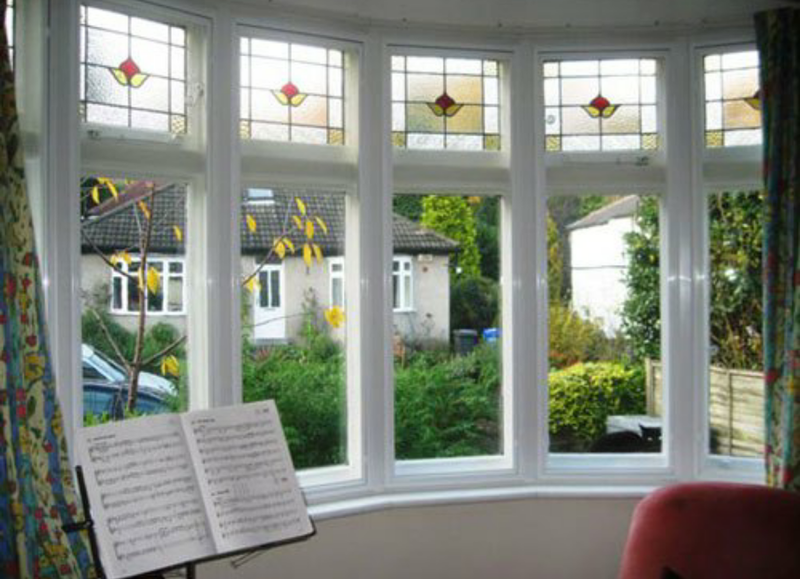 FENSA accredited and backed by the GGFI, our double glazing services are compliant with building standards and safeguard your money: unlike many other double glazing companies. 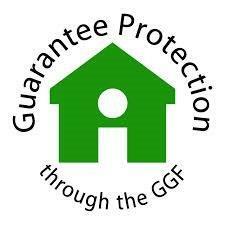 That means you'll be protected should a company stop trading before the expiration of the guarantee. 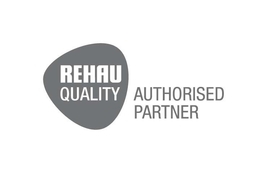 We pride ourselves on our 24/7 support service which means that someone from our team is always available to answer any questions, or solve any problems you may have. No matter what the time of day: whether it's early in the morning or late at night, the Alpine Glass team are always on hand to help you out. 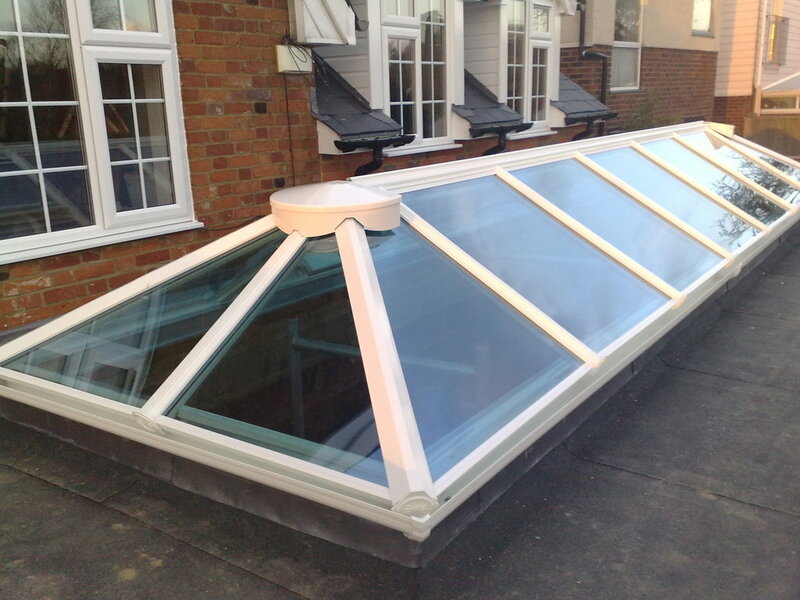 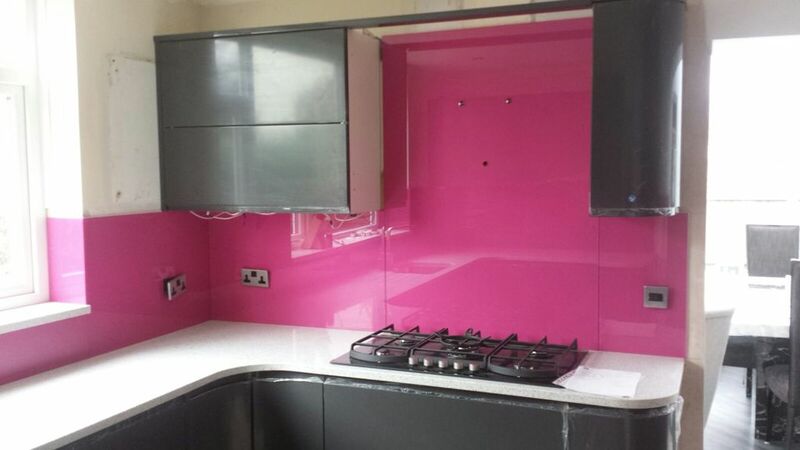 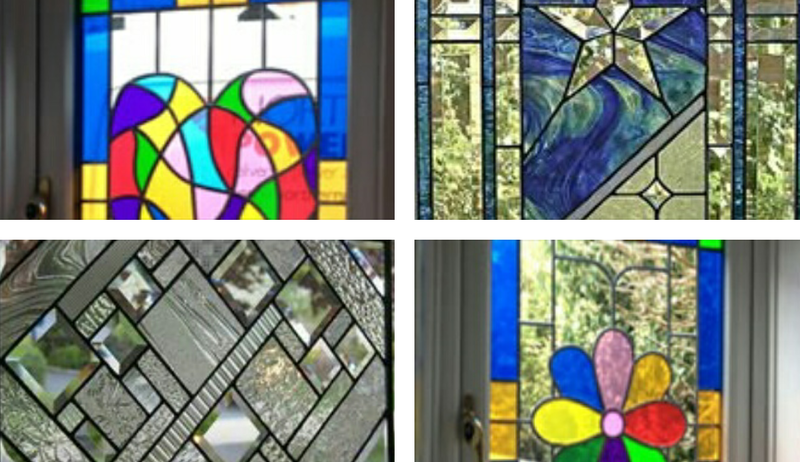 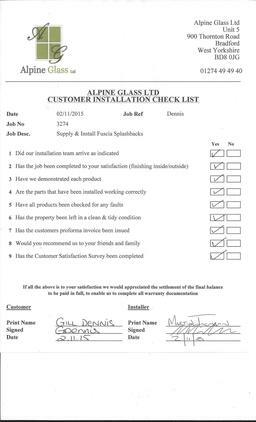 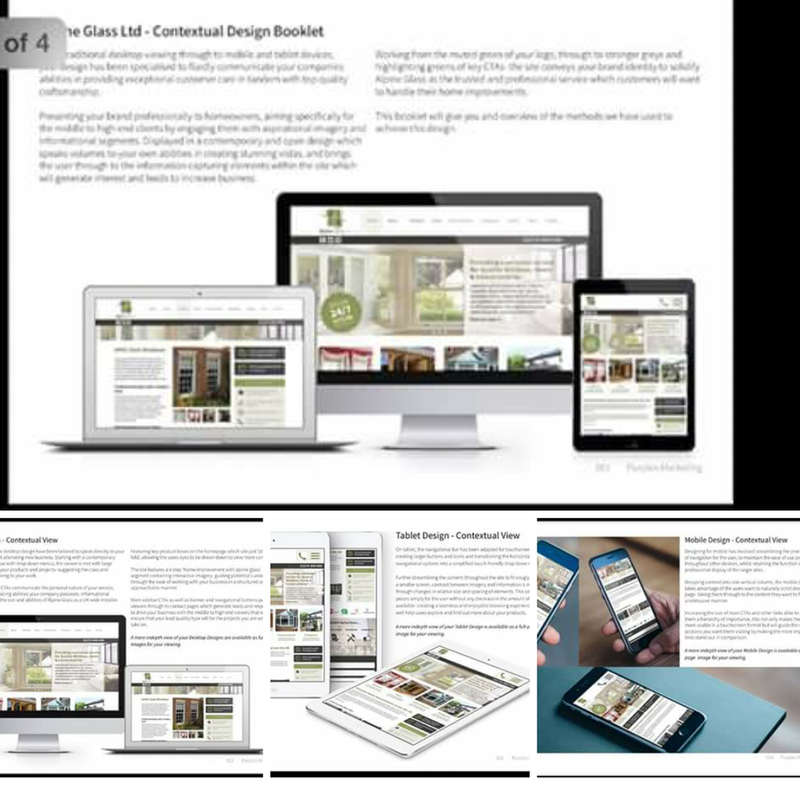 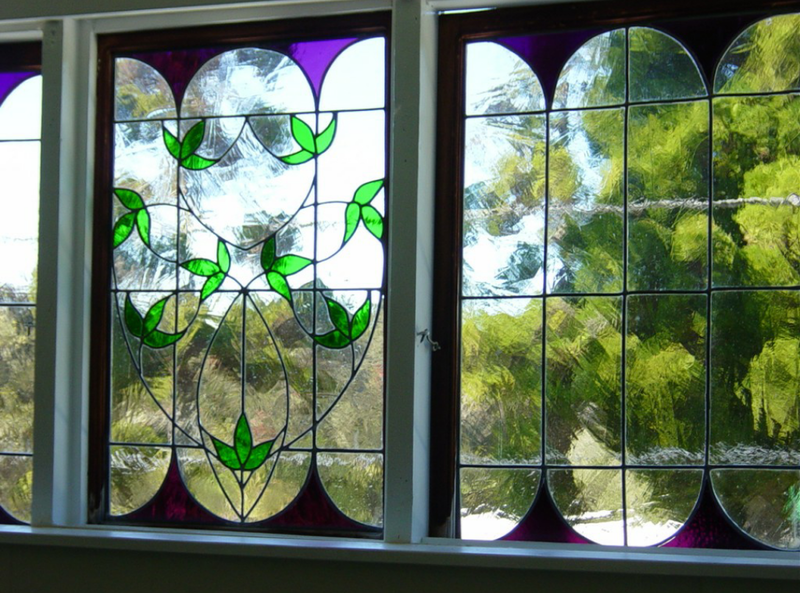 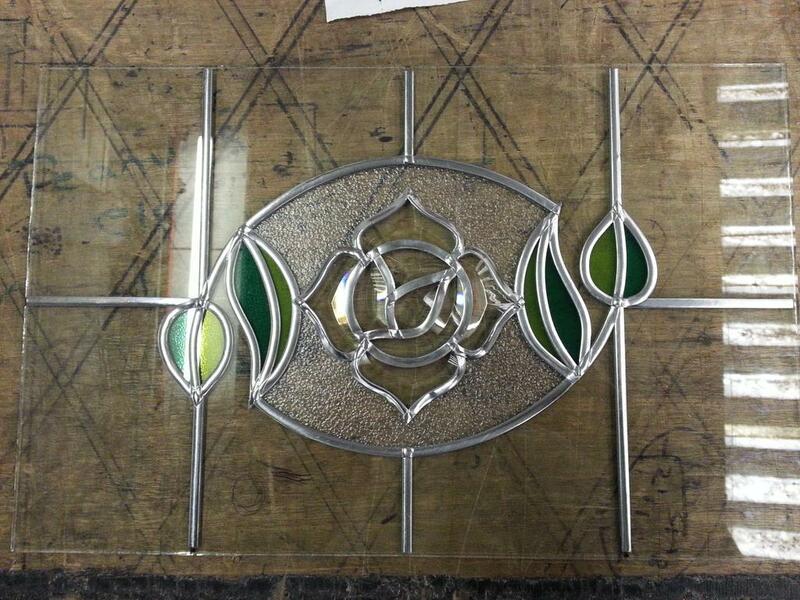 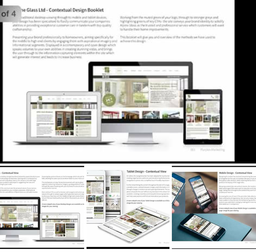 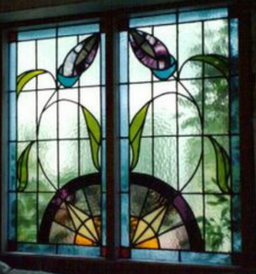 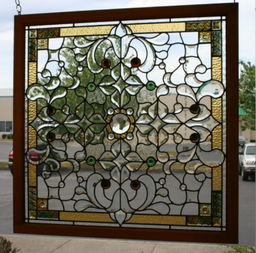 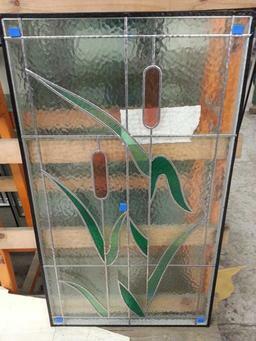 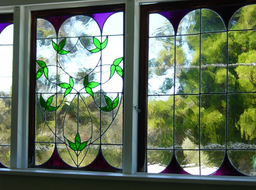 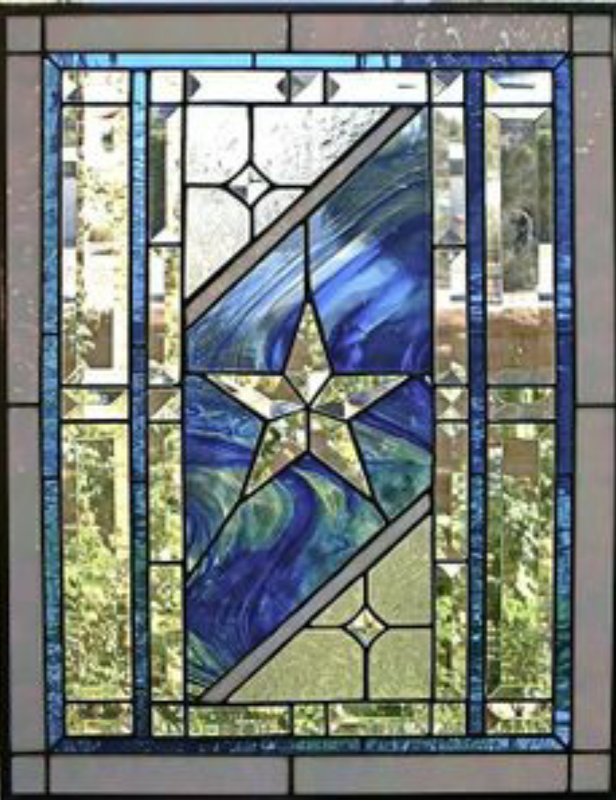 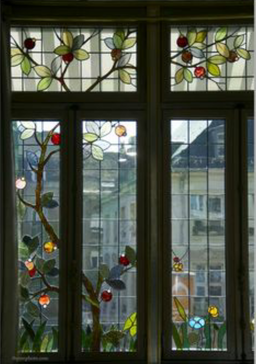 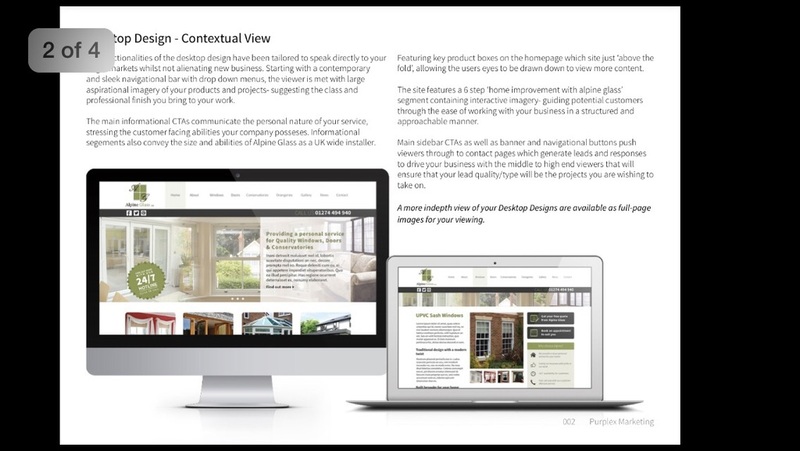 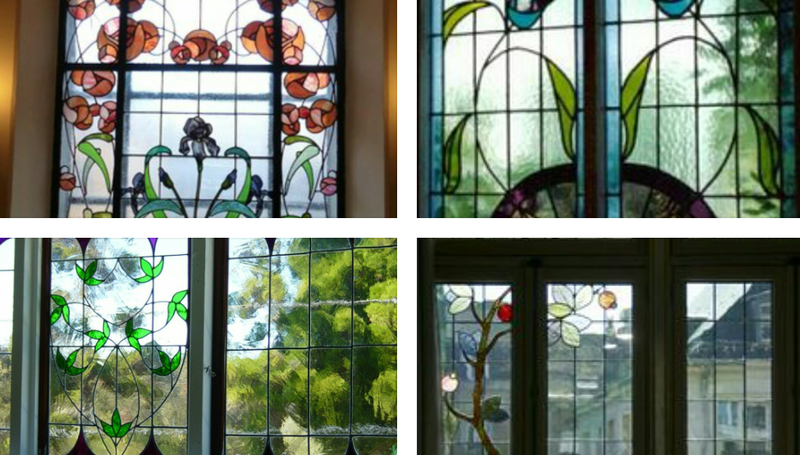 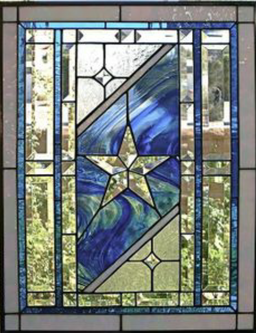 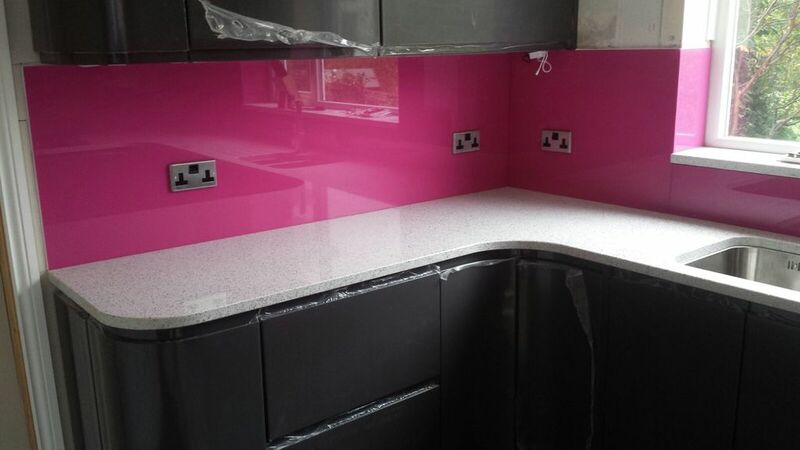 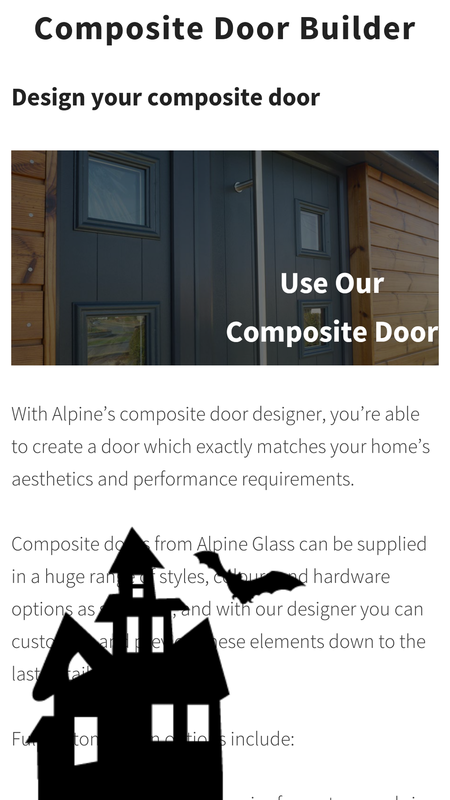 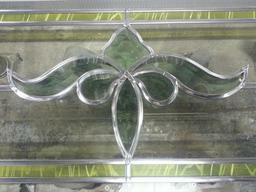 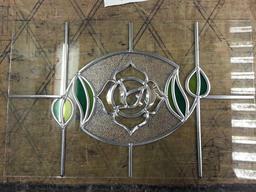 Testimonials are curated by Alpine Glass Ltd and are not independently reviewed or verified. 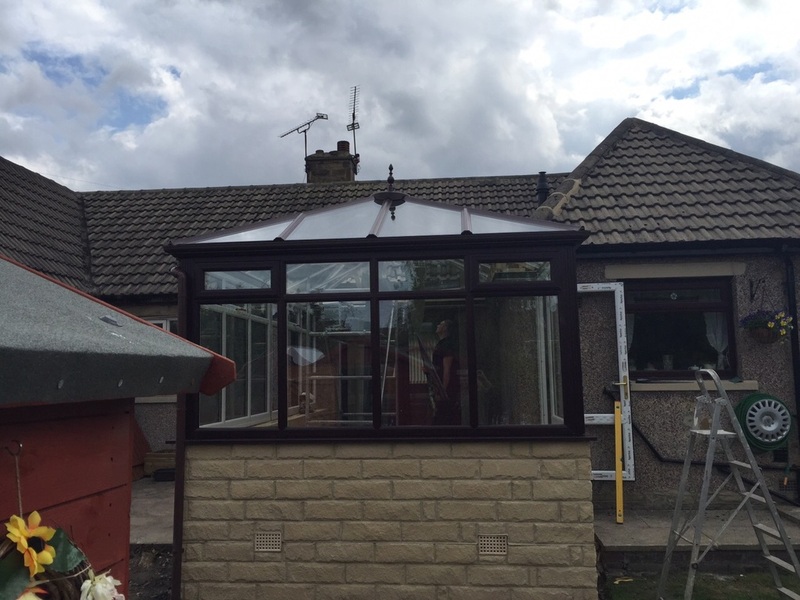 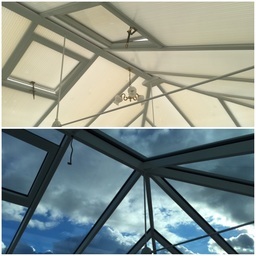 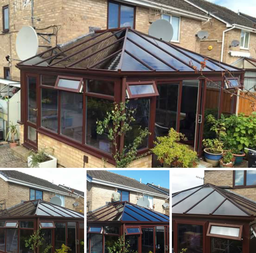 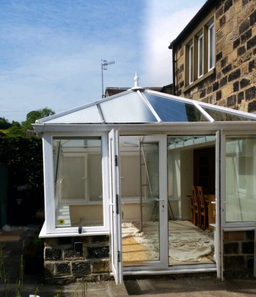 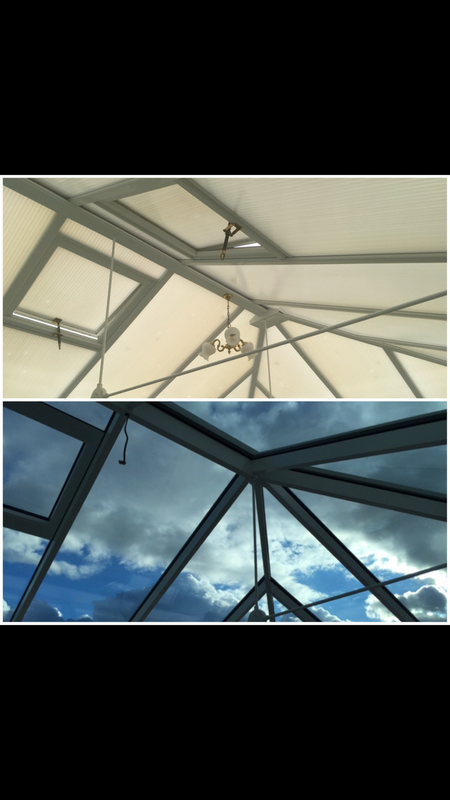 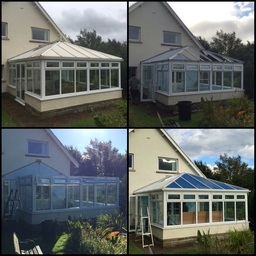 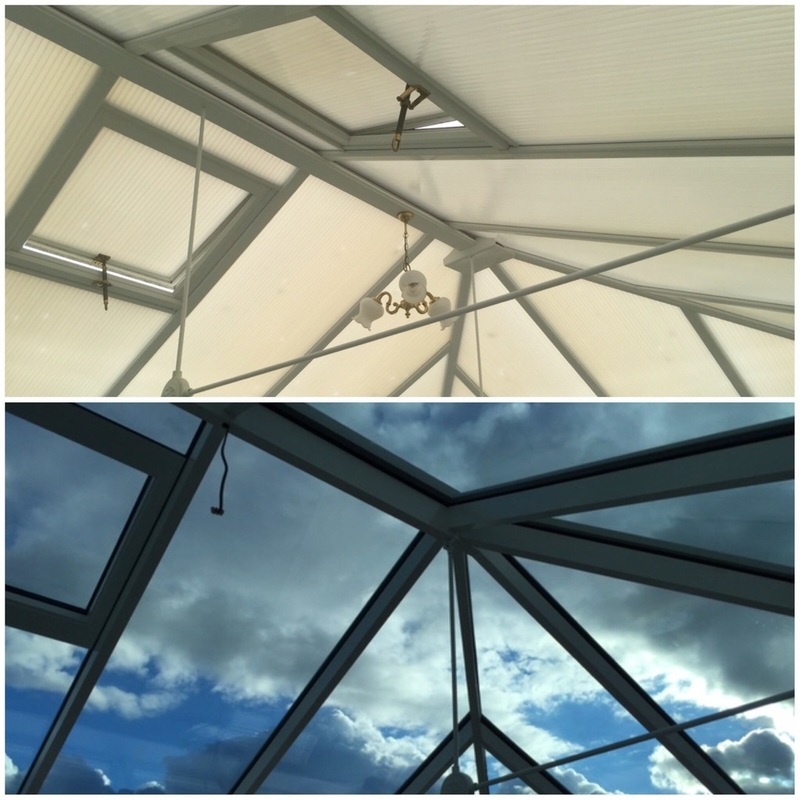 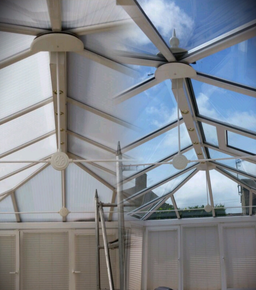 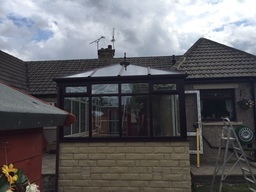 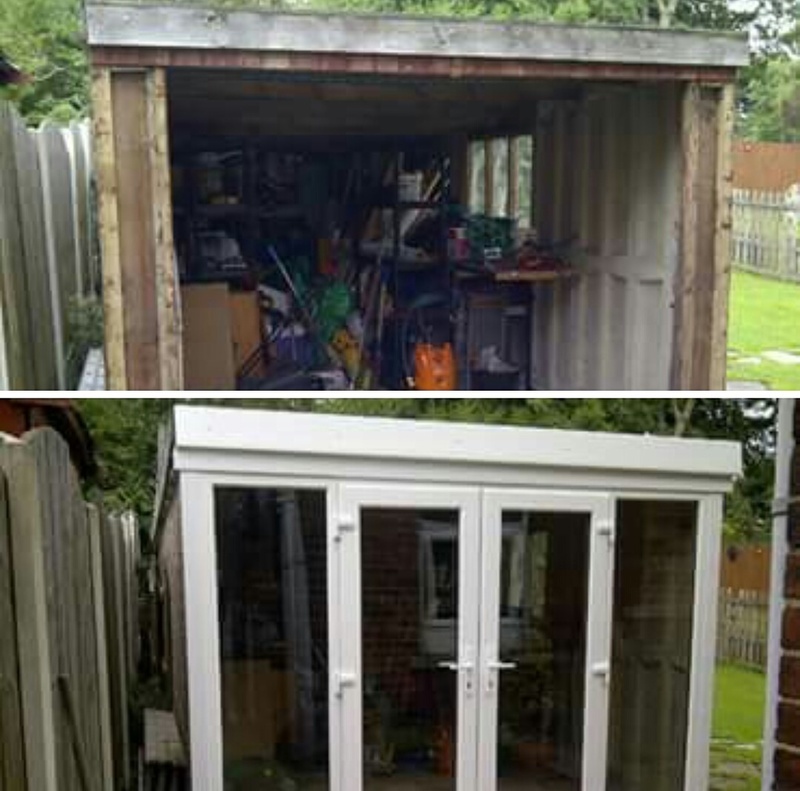 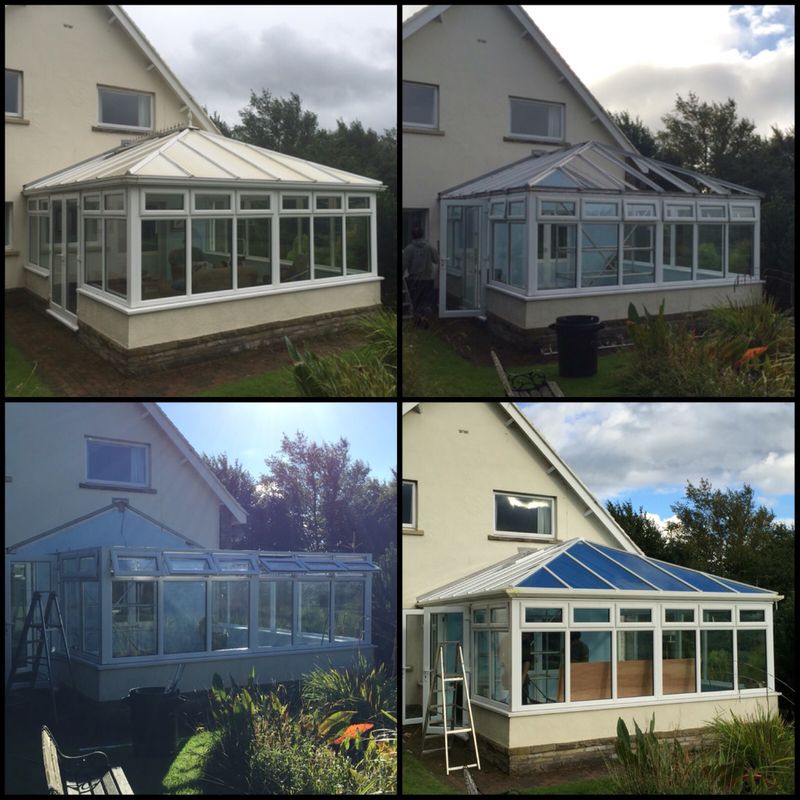 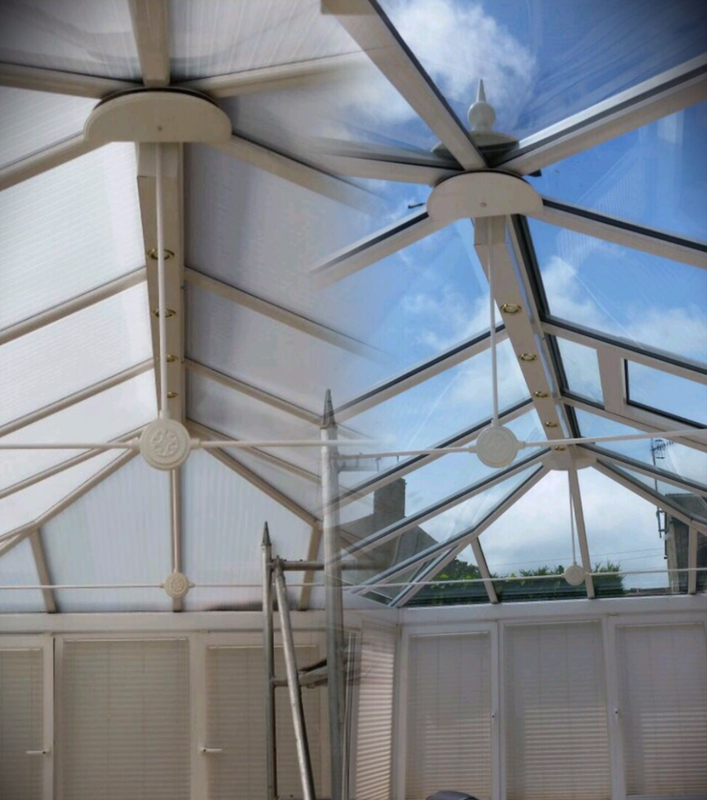 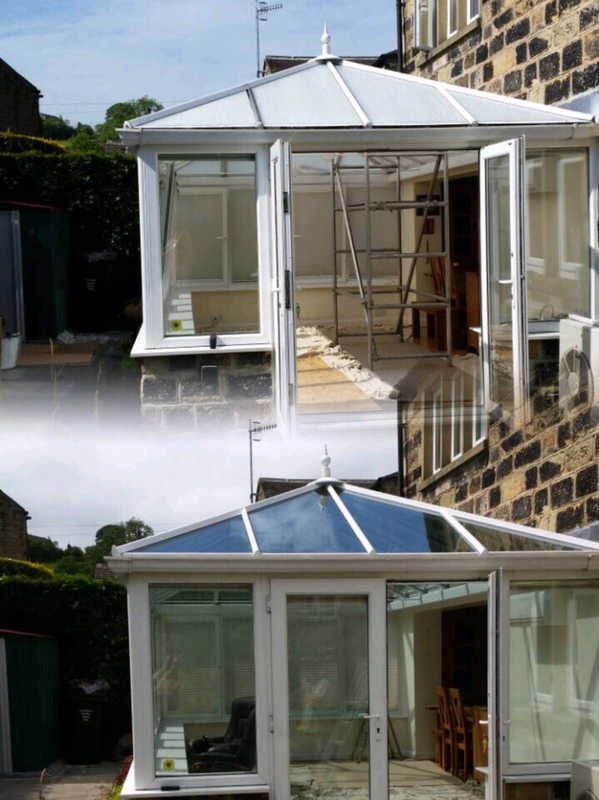 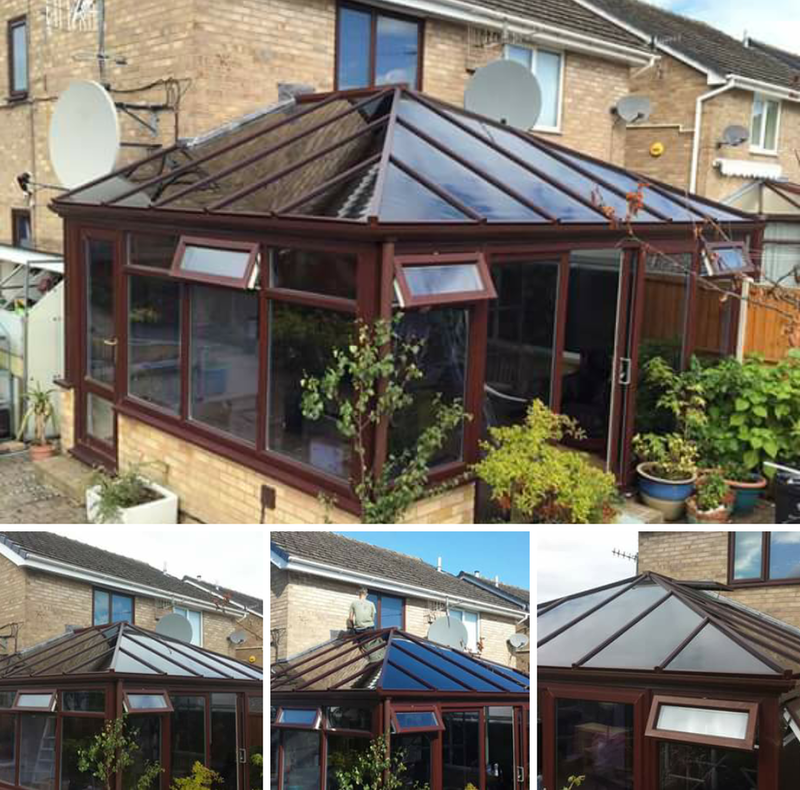 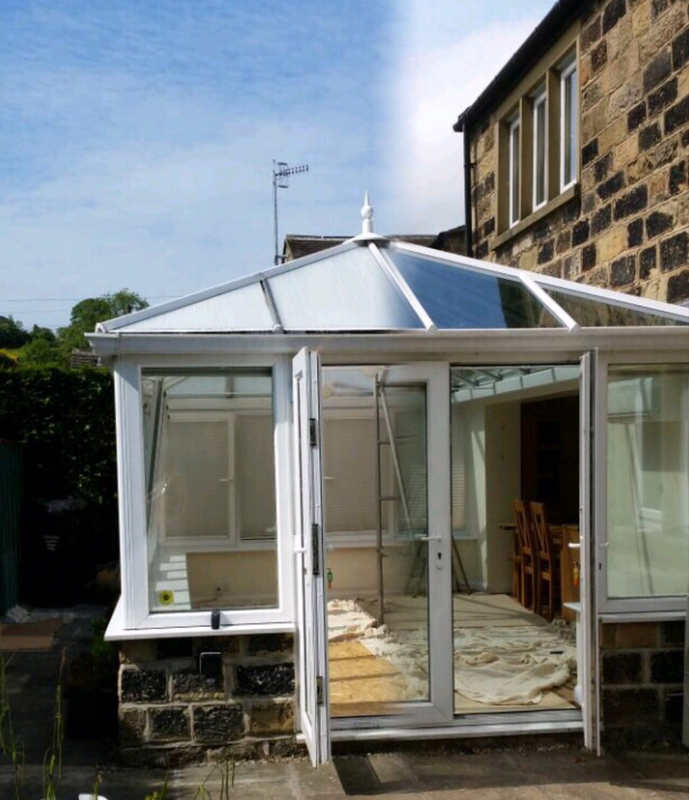 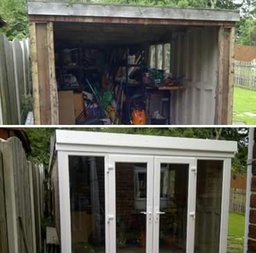 "***** NEW CONSERVATORY INSTALLATION ***** We used Alpine as we know the quality of work they undertake, We booked the job in with them and the project ran to budget and timescale indicted. we know that they care about their customer and are always at the end of a phone as and when required - and also more importantly the aftercare is 100%"
"***** SUPPLY AND INSTALL NEW BI-FOLD OORS ***** Alpine installed bi-folding doors from the house to my conservatory and they are the perfect solution to the open living space and / or closed off rooms"
"***** NEW CONSRVATORY & BI-fOLD DOORS ***** As per the norm alpine delivered. 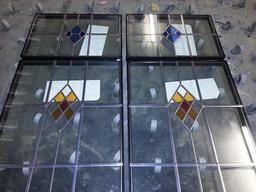 we previously used them on projects on our old house. 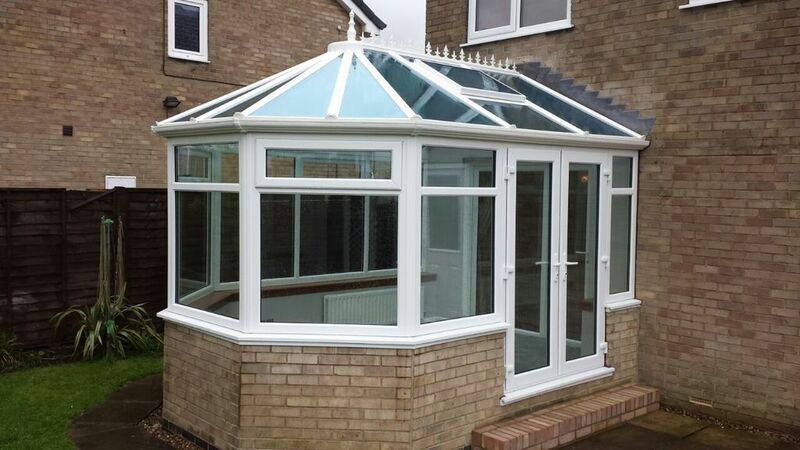 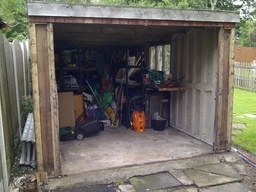 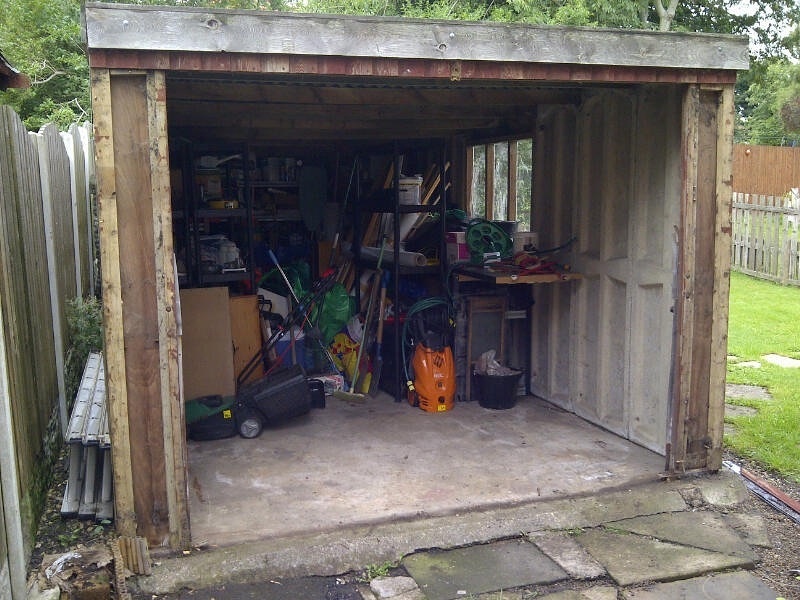 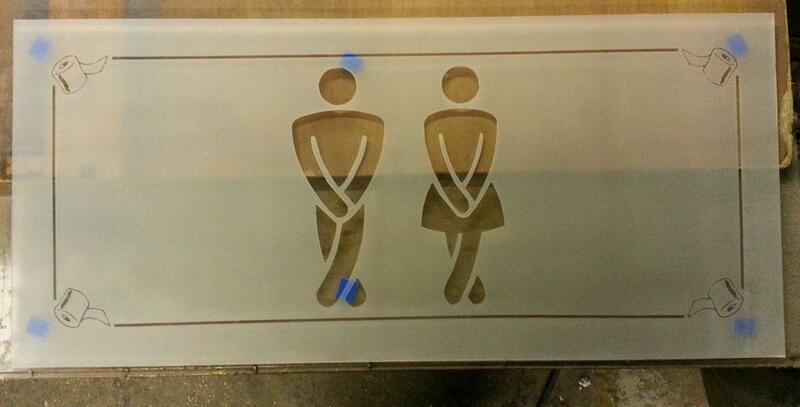 the only concern was the additional ground works for the conservatory base but that was out of their hands. 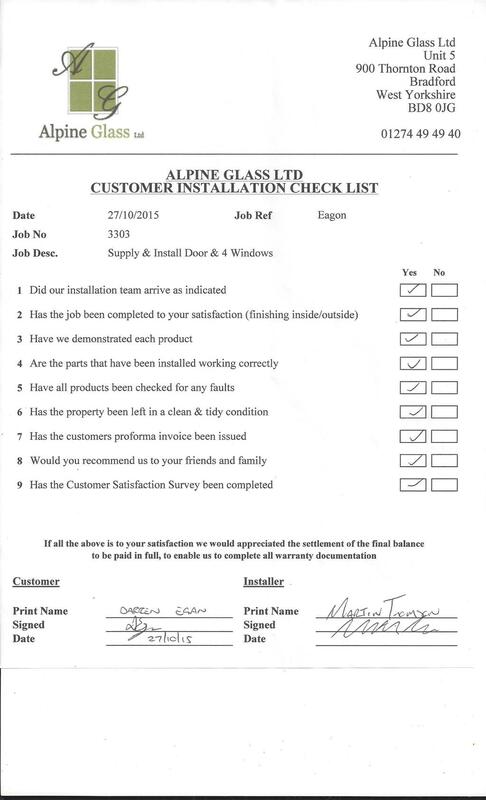 great job"
"***** SUPPLY & INSTALL NEW WINDOWS ****** Thanks guys a good job. 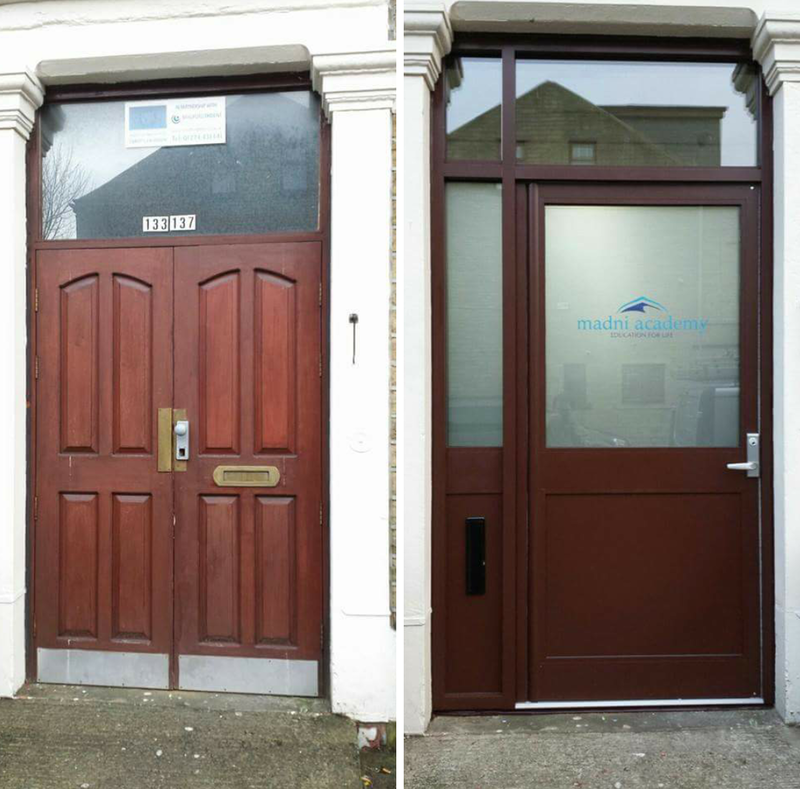 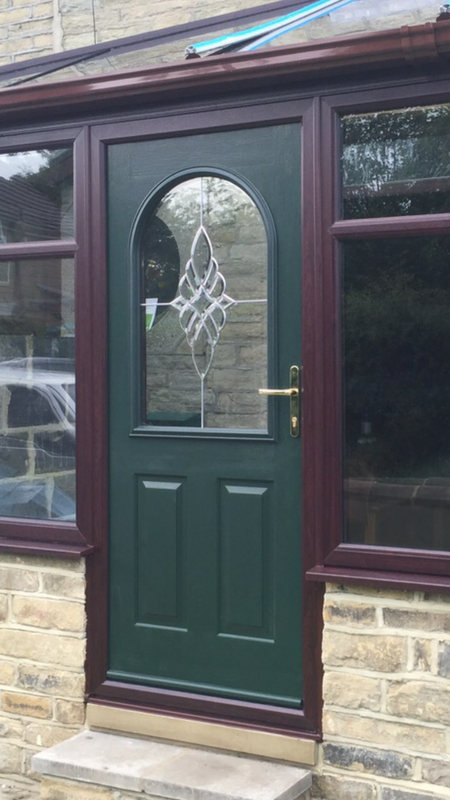 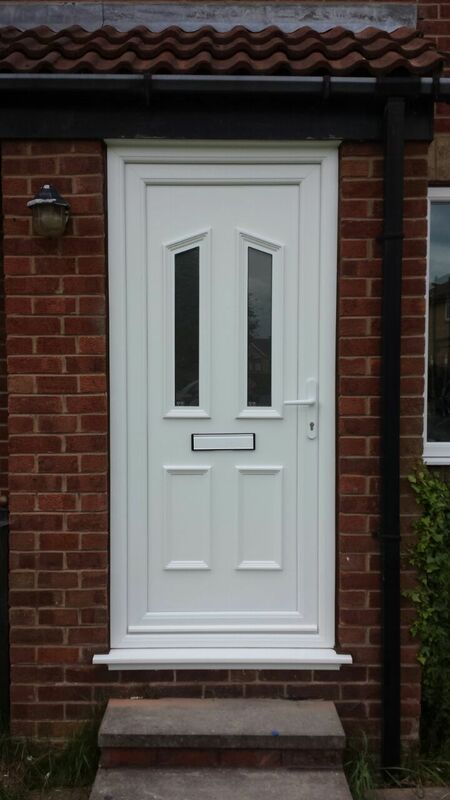 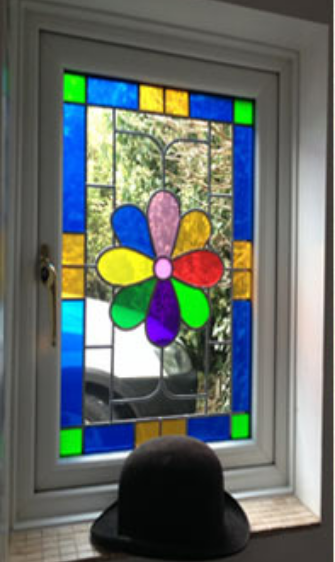 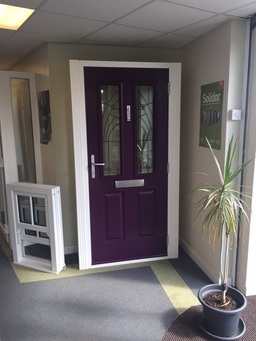 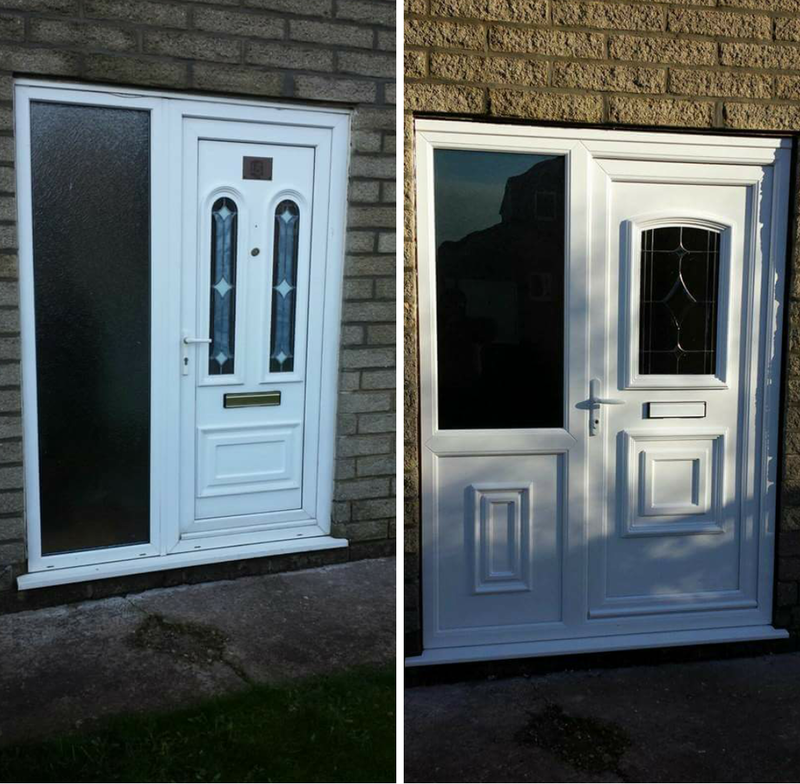 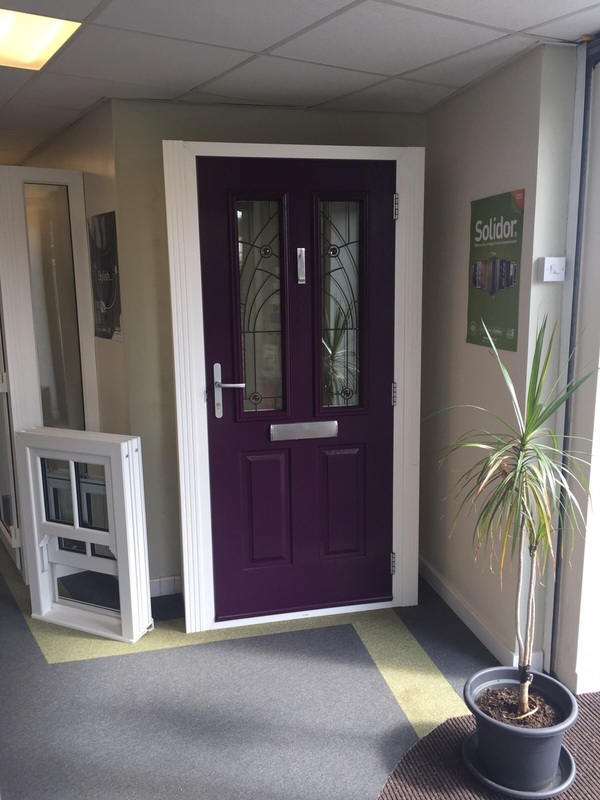 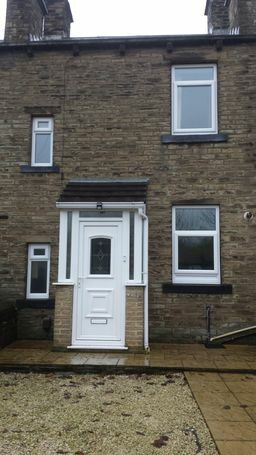 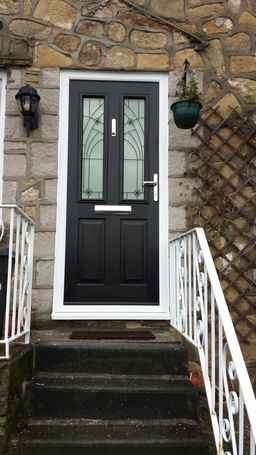 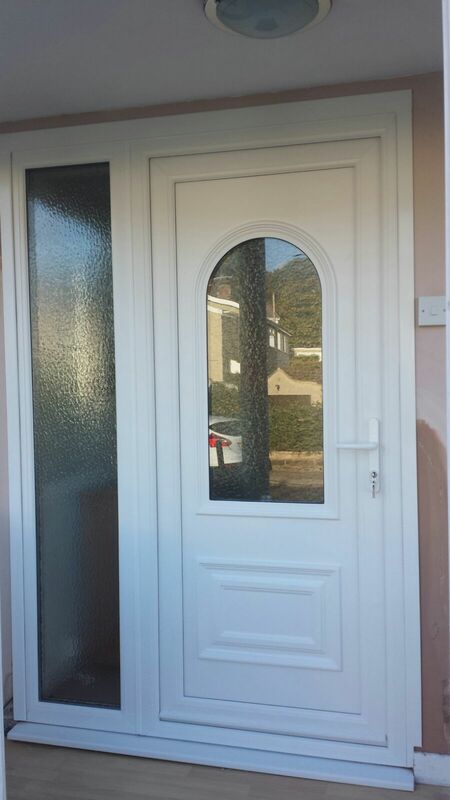 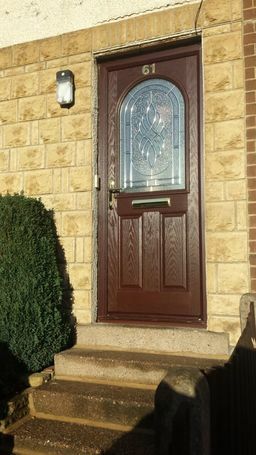 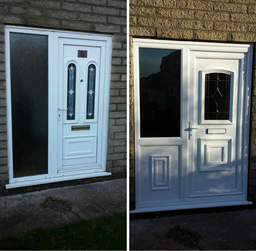 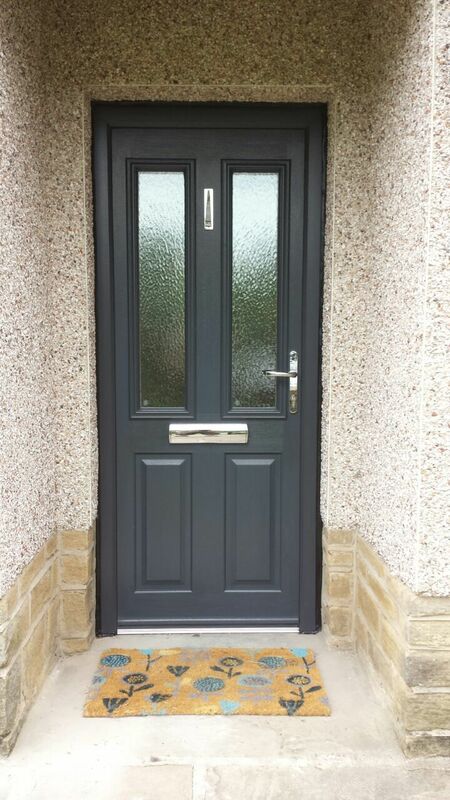 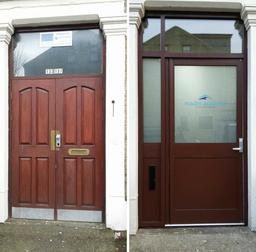 really pleased with results"
"****** NEW WINDOWS ***** the guys were very cheerful - cleaned up before I checked the work - great standards"
"***** SUPPLY & INSTALL SOLIDOR ***** Door looks wonderful gives a really lovely welcoming look to our new house - thanks so much!" 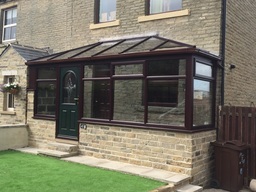 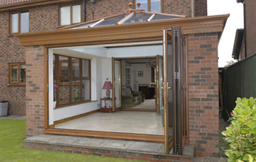 "***** GLASS ROOF PORCH & SOLIDOR ***** WOW it looks fantastic - it really is more than I hope for. wouldn't hesitate in recommending Alpine"
"***** REPLACEMENT WINDOW ***** they came out and measured our job and we got a speedy quotation. 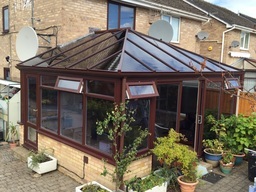 Once booked in the service was great and the guys on site were hard working and tidy - job well done"
"***** FACIAS, SOFFITS, GUTTERS & CANOPY ***** Customer was involved in all aspects - from survey, installation. staff were always helpful. 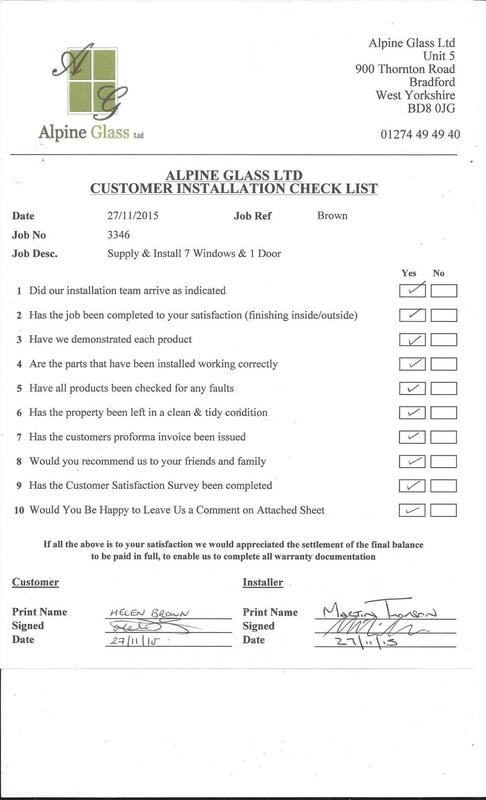 job well done. 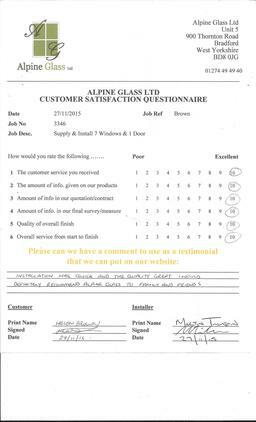 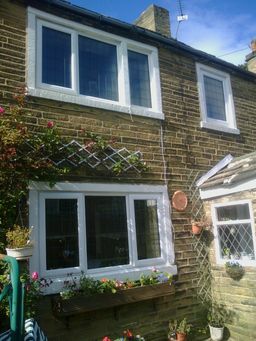 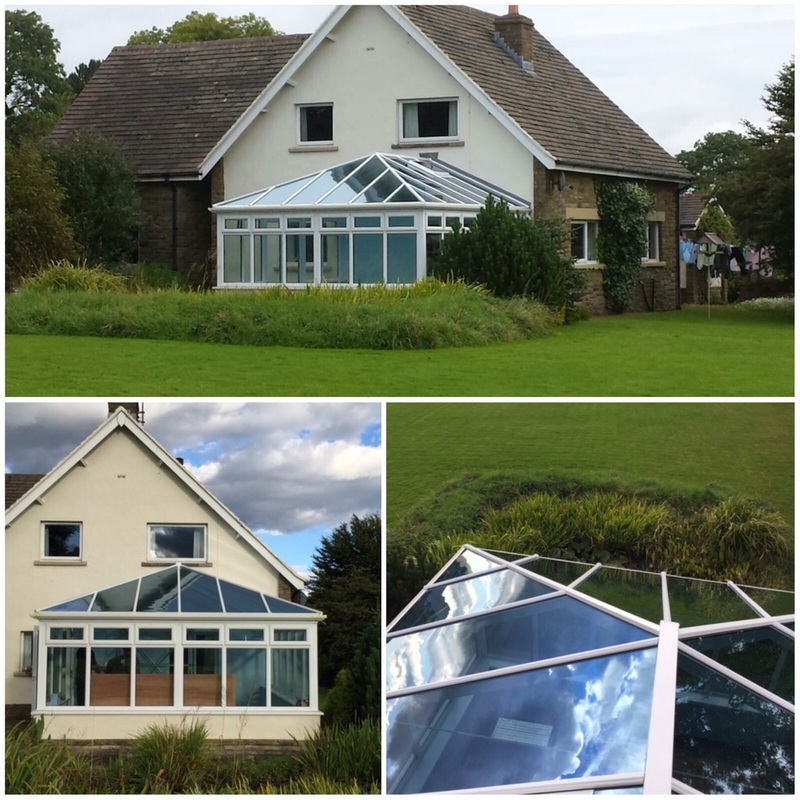 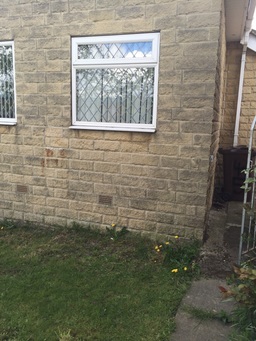 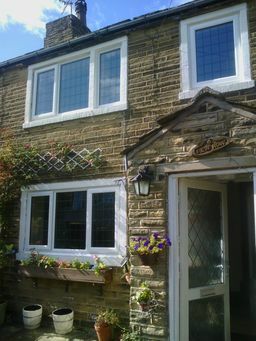 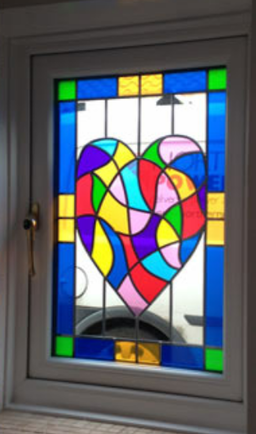 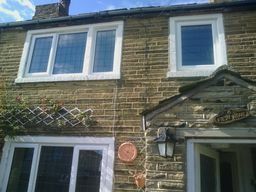 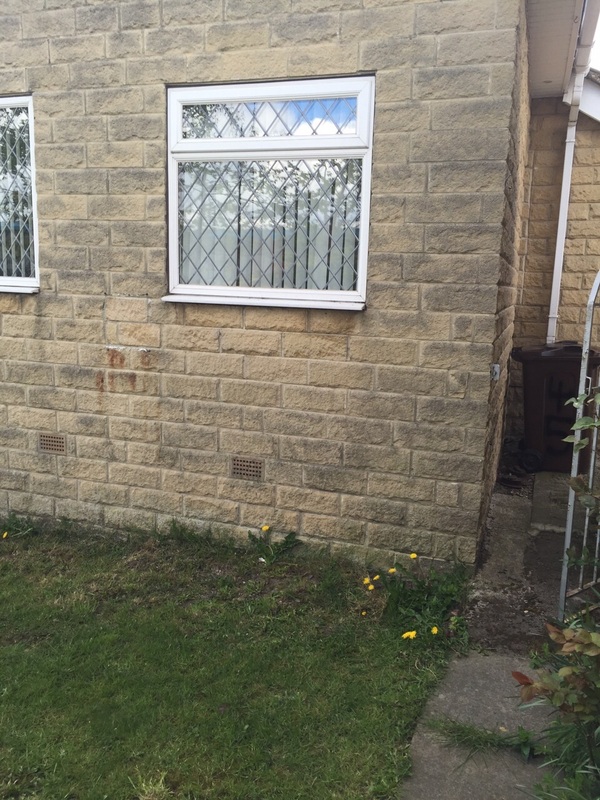 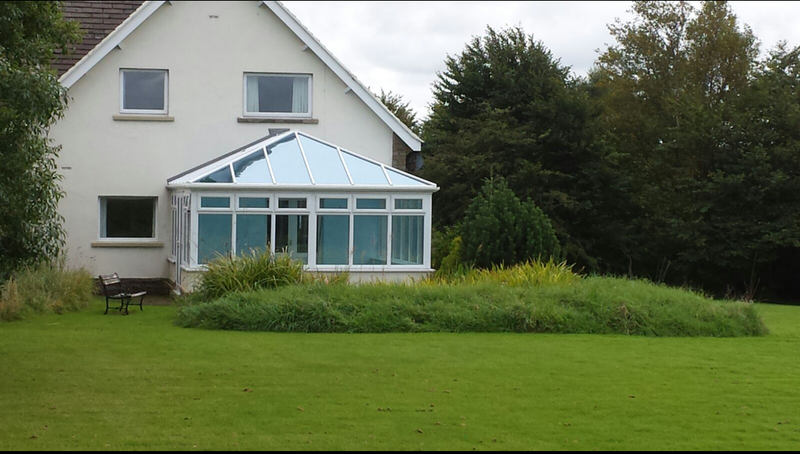 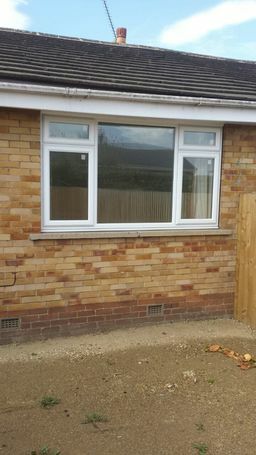 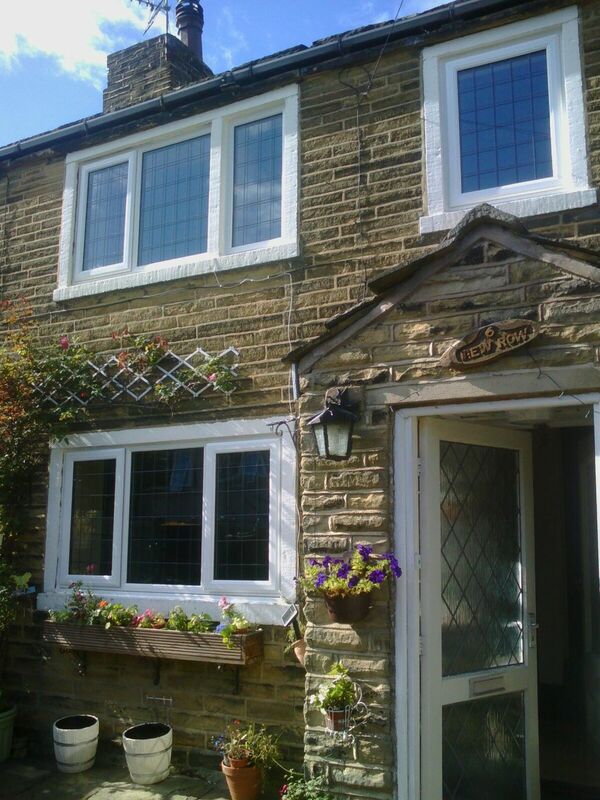 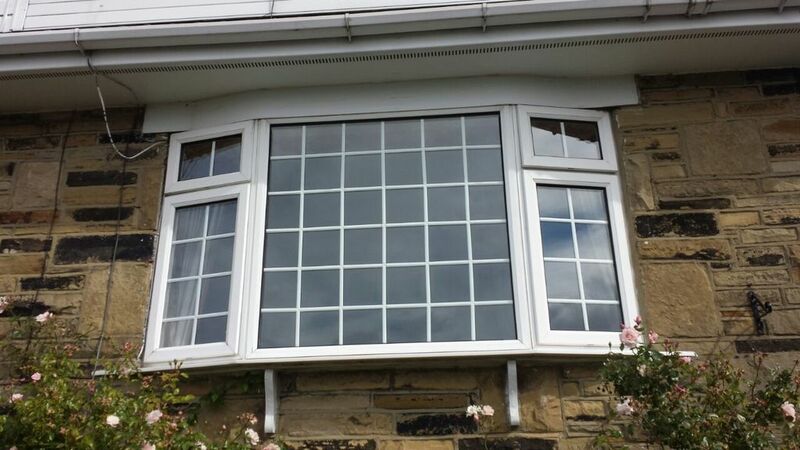 huge improvement to the house"
"***** REPLACEMENT GLAZING ****** when vandals damaged our windows alpine glass gave us a excellent service by replacing glass very quickly and efficiently. very well mannered and professional team. 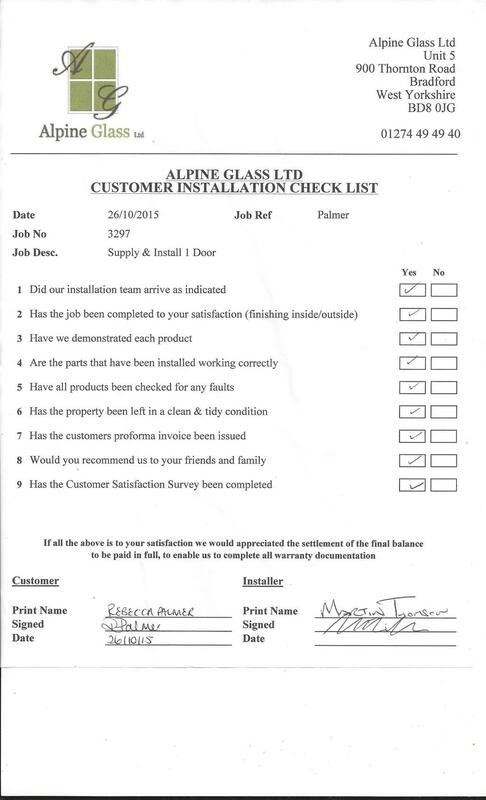 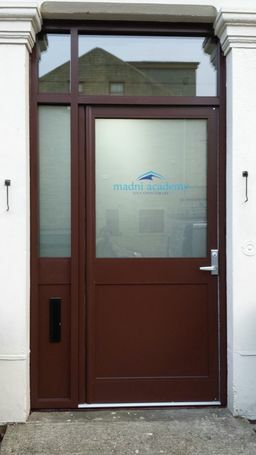 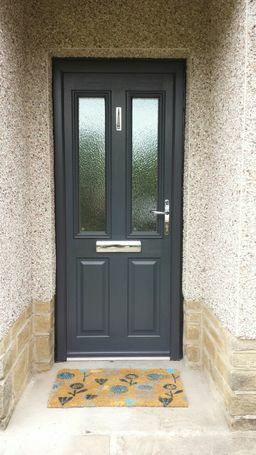 recommend to everyone"
"***** SOLIDOR NSTALLATION ***** I was given great advice on style of door which resulted in perfect solidor for my property - very happy"
"***** 1 WINDOW ***** A very good job has been done"
"***** 2 UNITS ***** Very please with the work - very quick and clean"
"***** REPAIR OF EXISTING SHOP DOORS & ETCHING ***** Alpine provided an excellent service t Bradford City FC with works being completed on time & on budget and to a very high standard"
"***** REPLACEMENT GLAZING ***** fully satisfied and would recommend to anyone!" 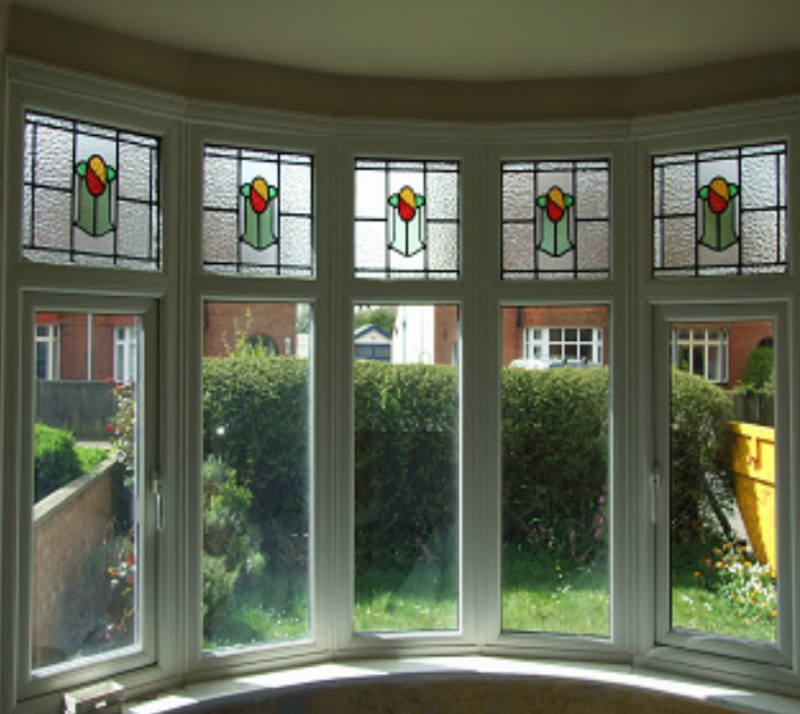 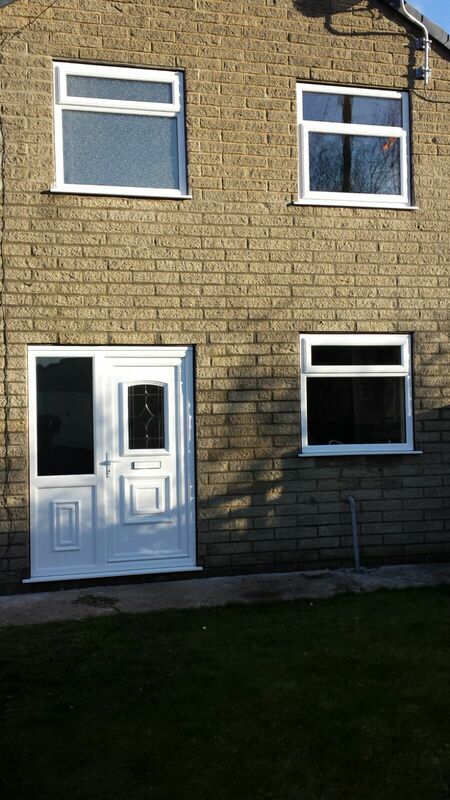 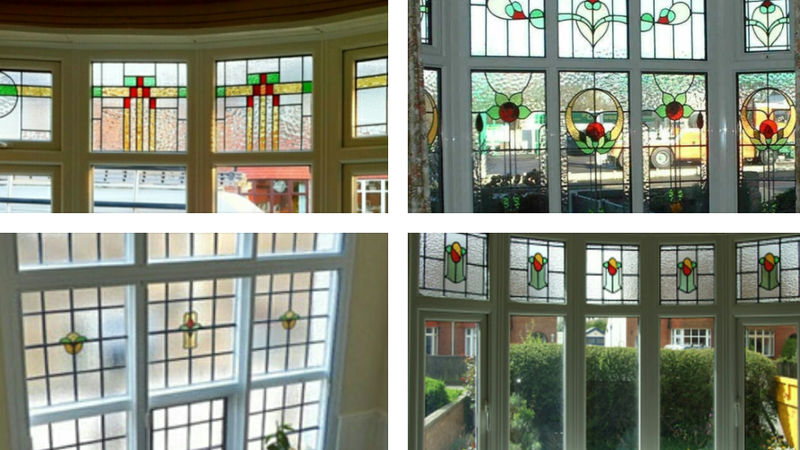 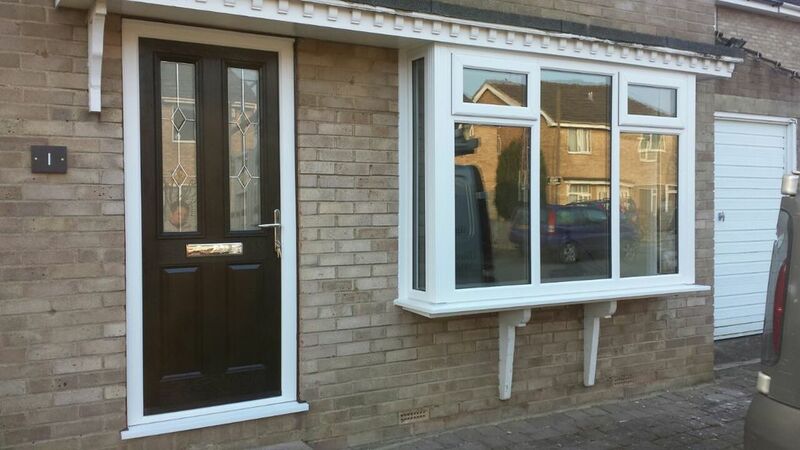 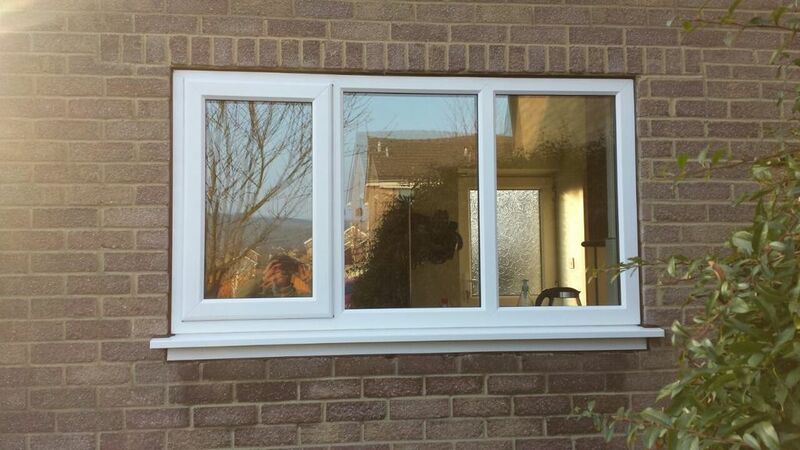 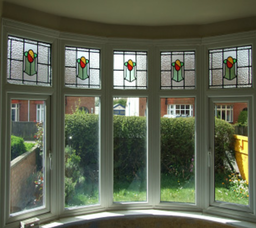 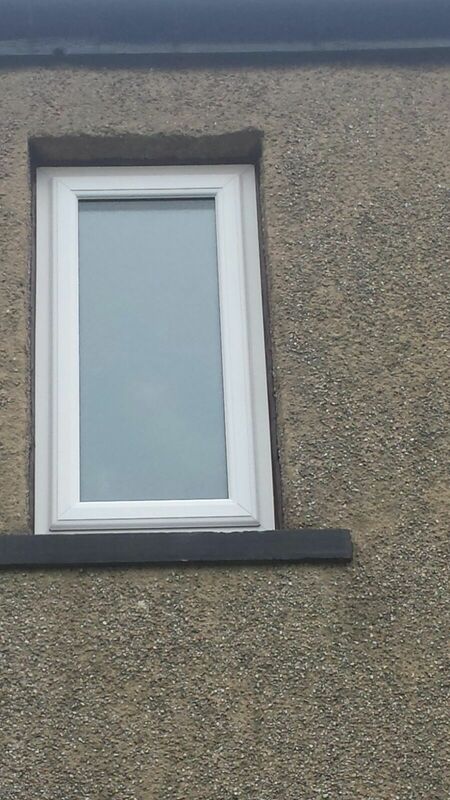 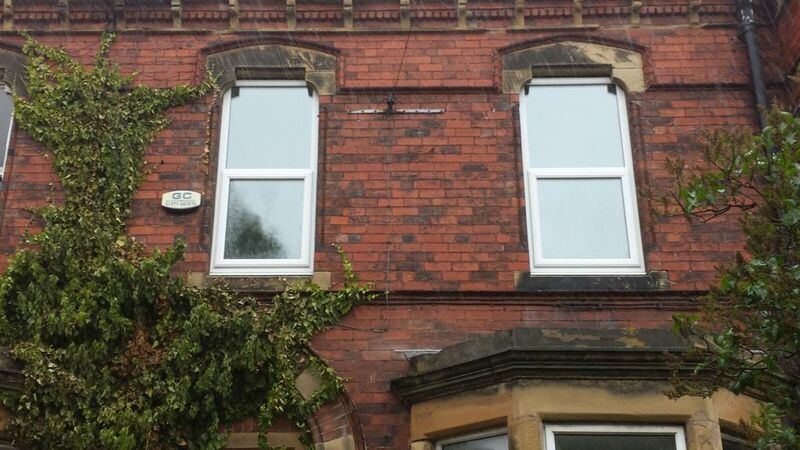 "***** REPLACEMENT WINDOWS ***** brilliant service, fabulous windows and all completed in under time. 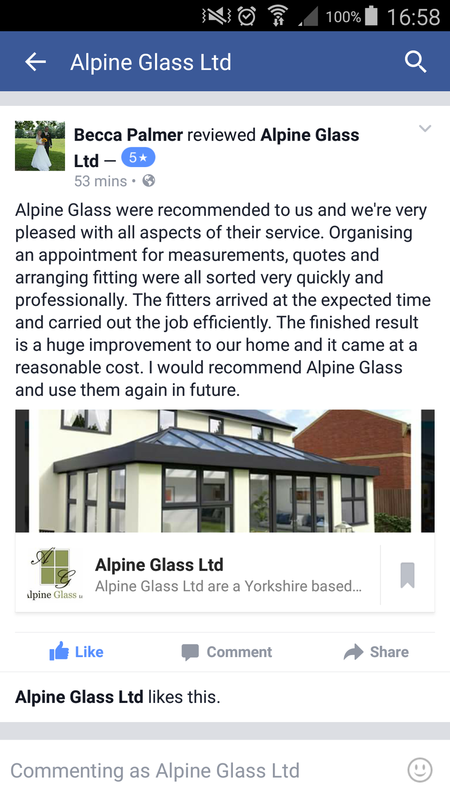 Would definitely recommend to family and friends. 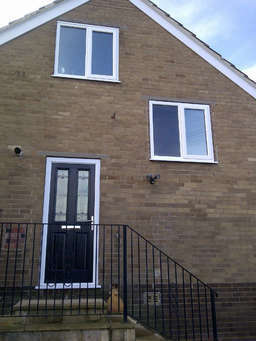 It has transformed our house - Thankyou!" 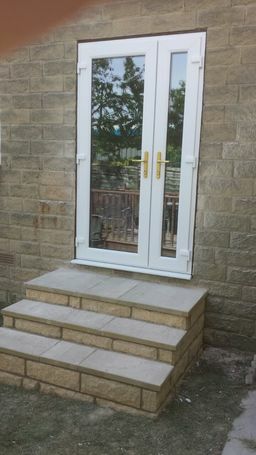 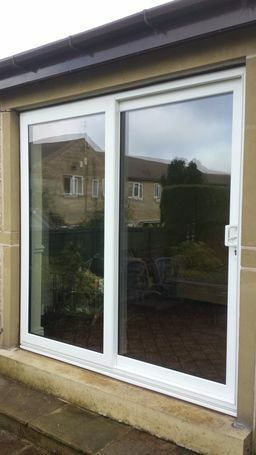 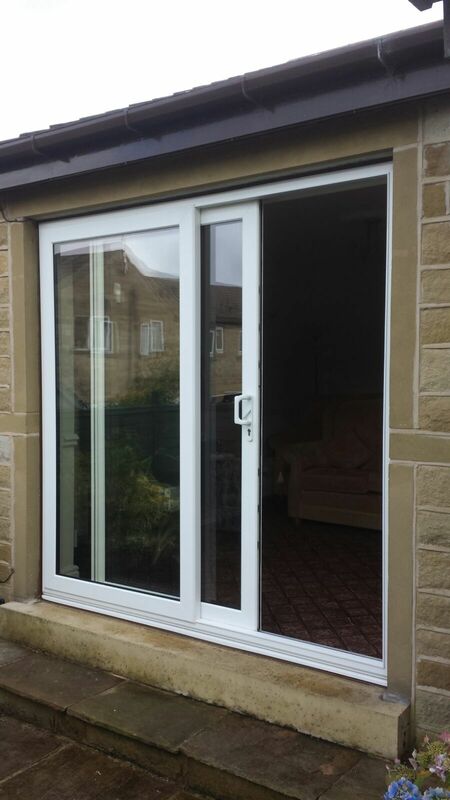 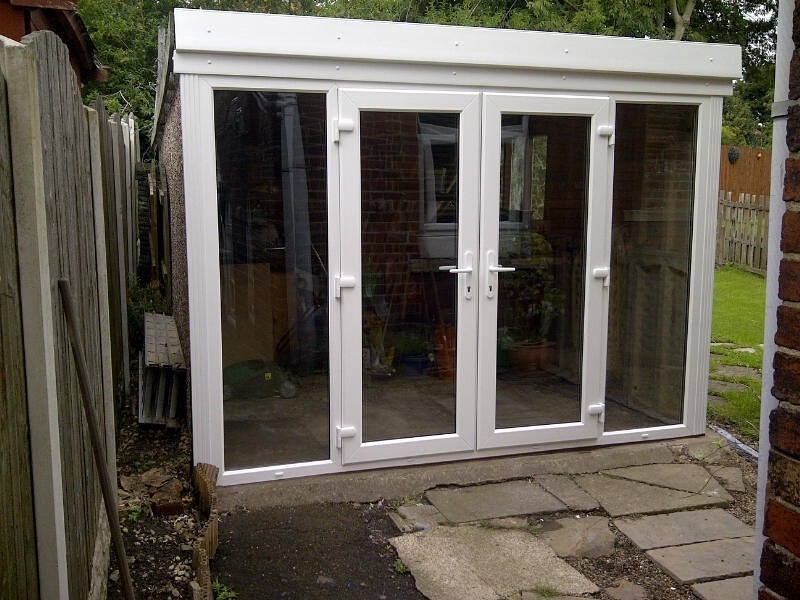 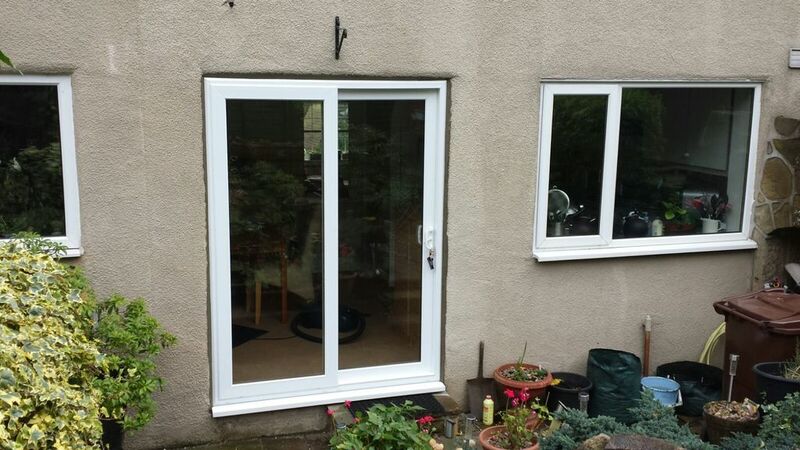 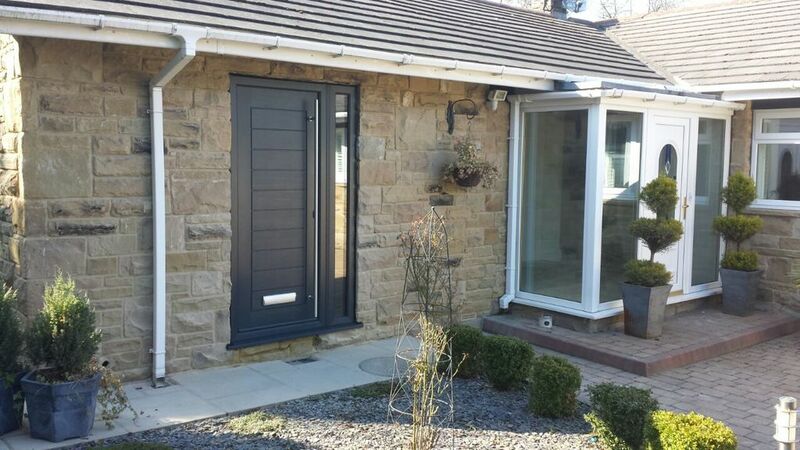 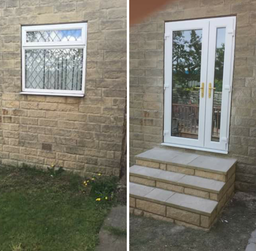 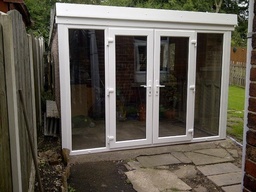 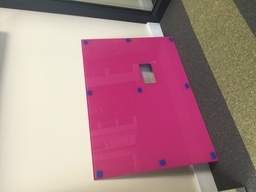 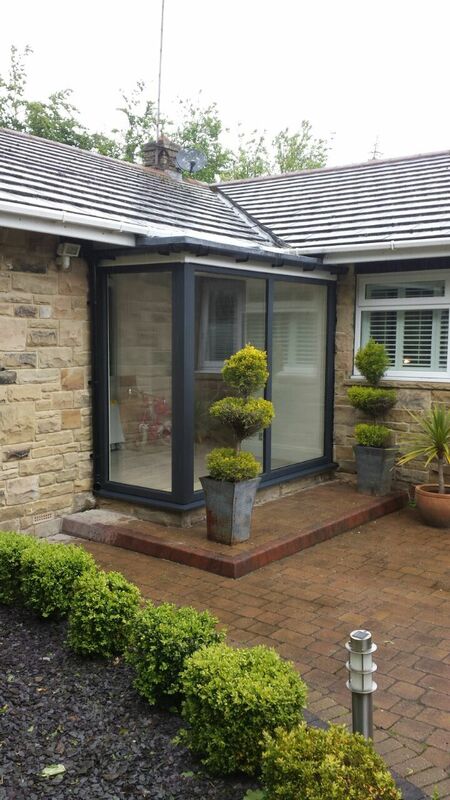 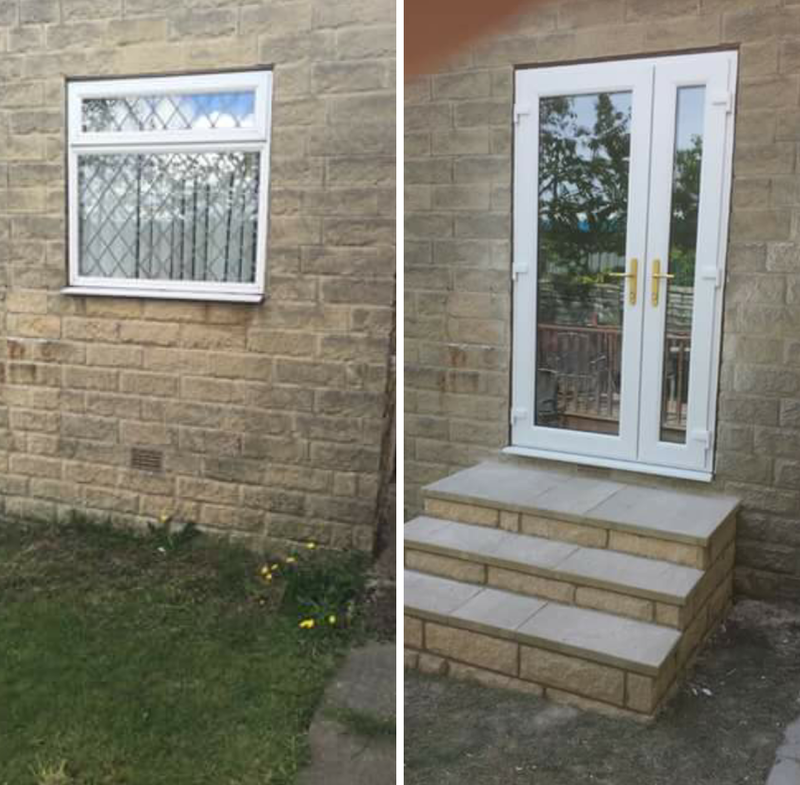 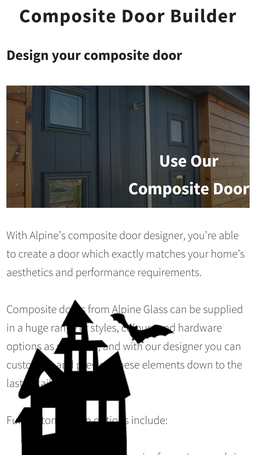 "***** INSTALLATION OF SLIDING PATIO DOORS ***** the guys at alpine have done what they always do - we now have a set of working doors so we can easily access outdoors - thanks team alpine"